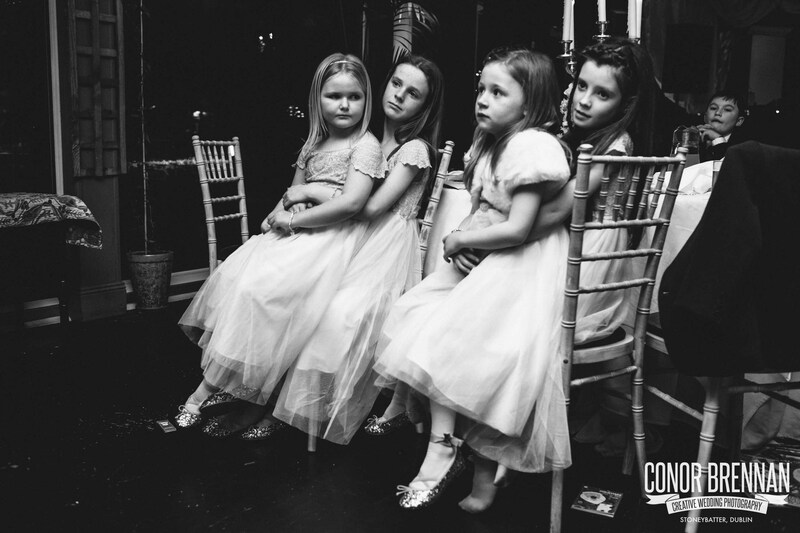 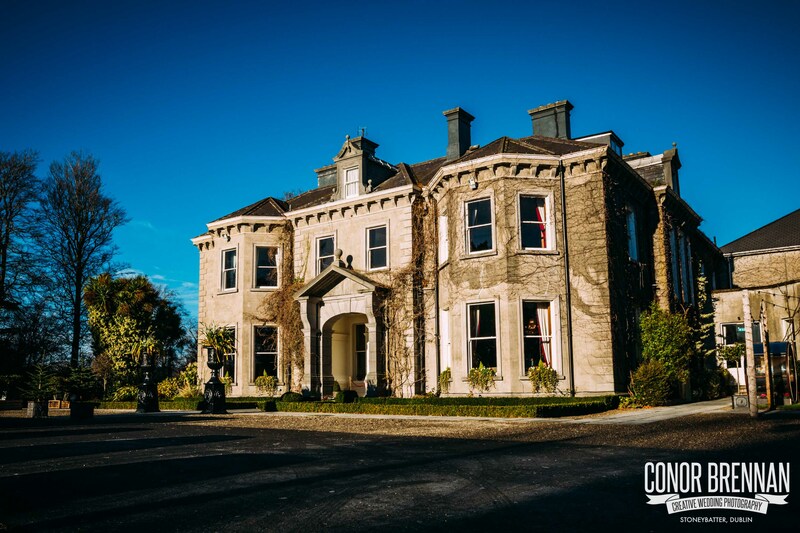 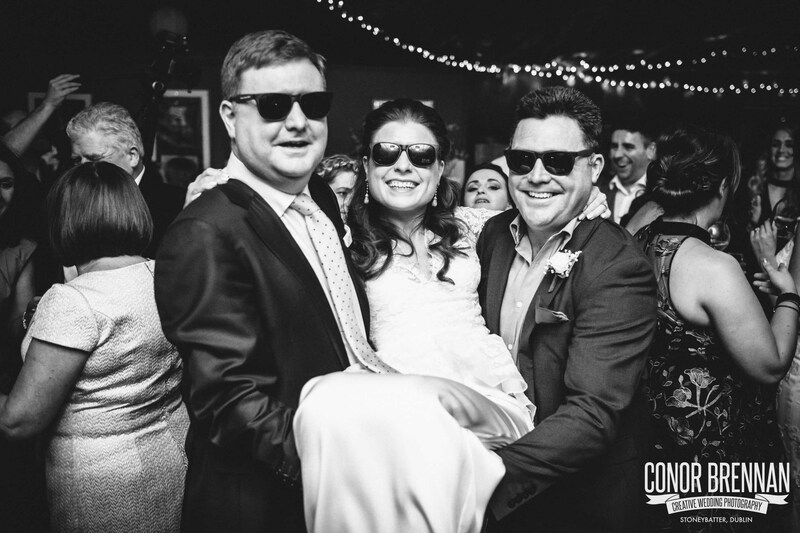 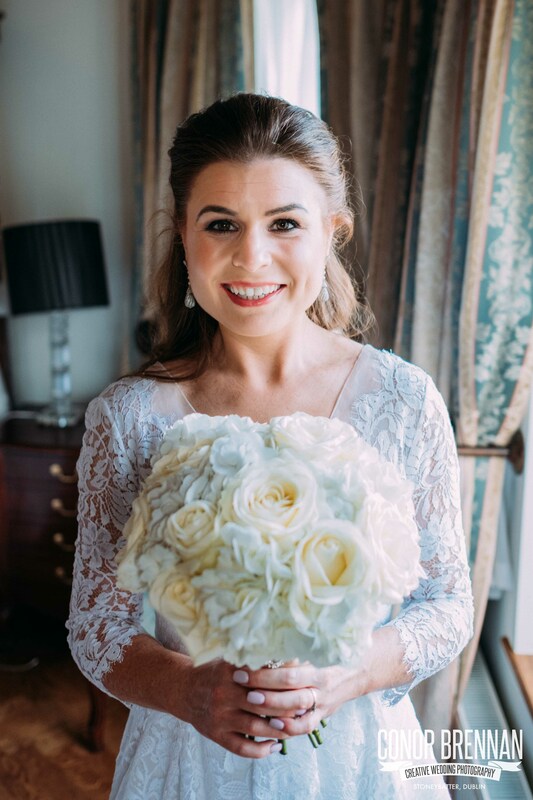 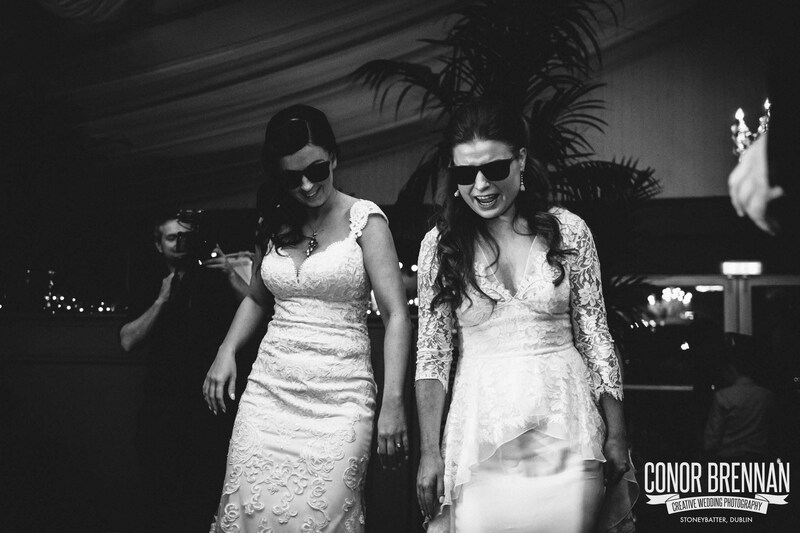 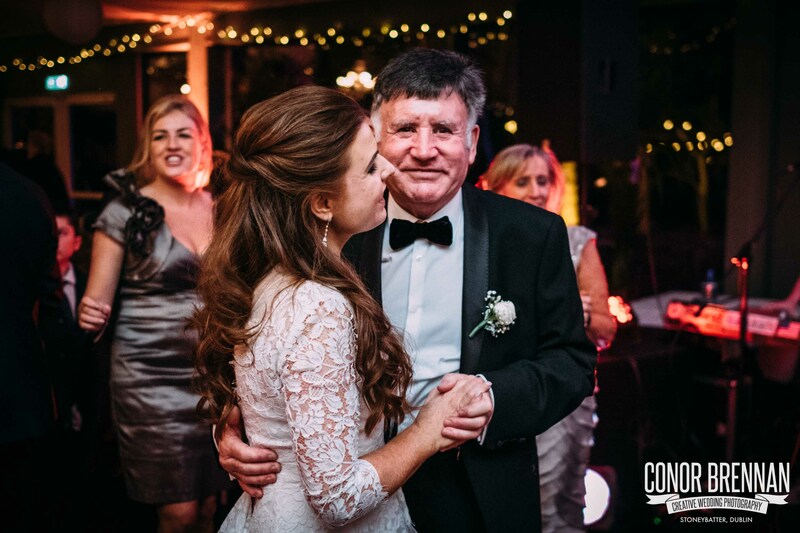 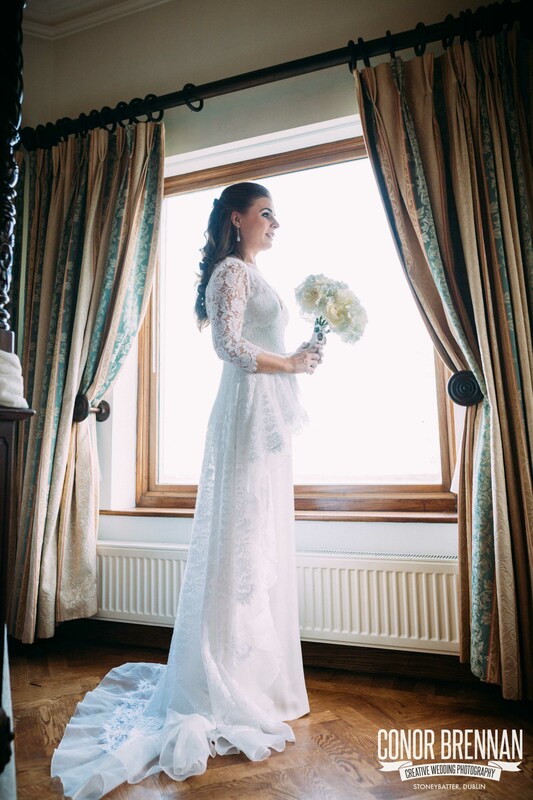 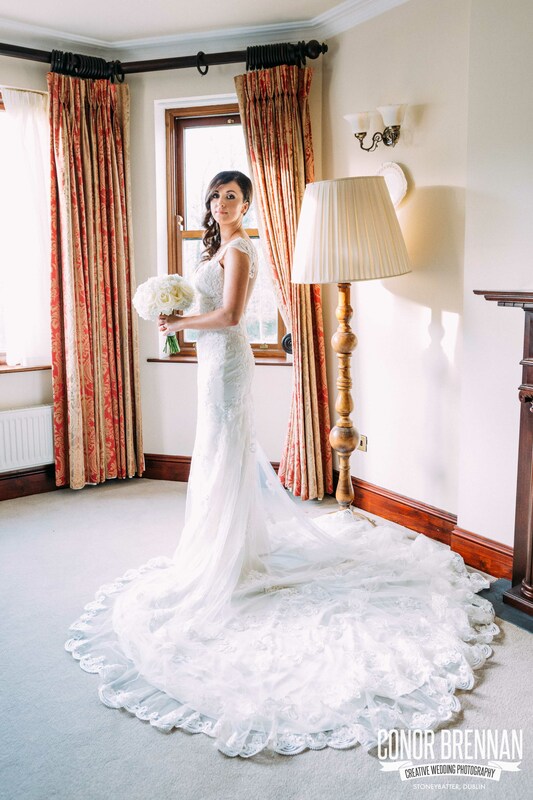 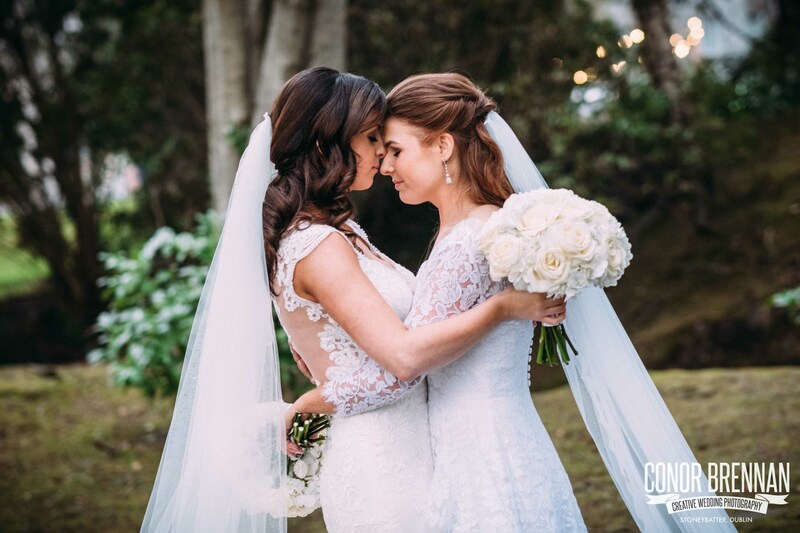 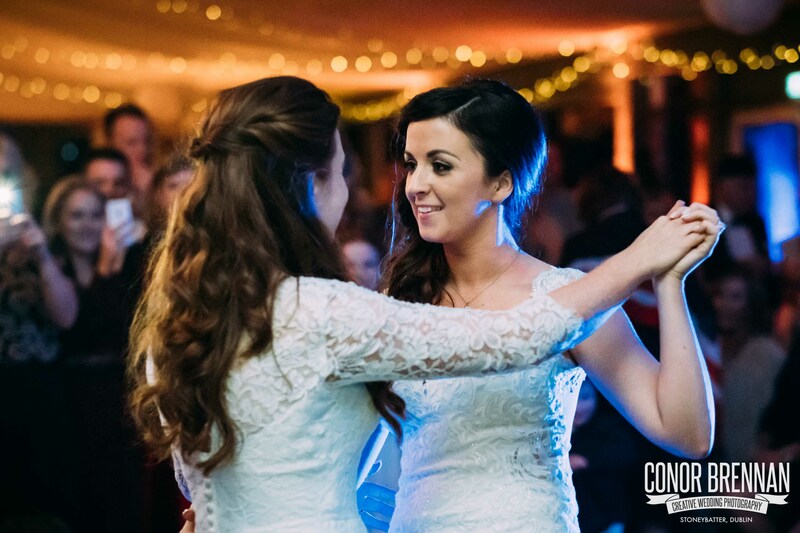 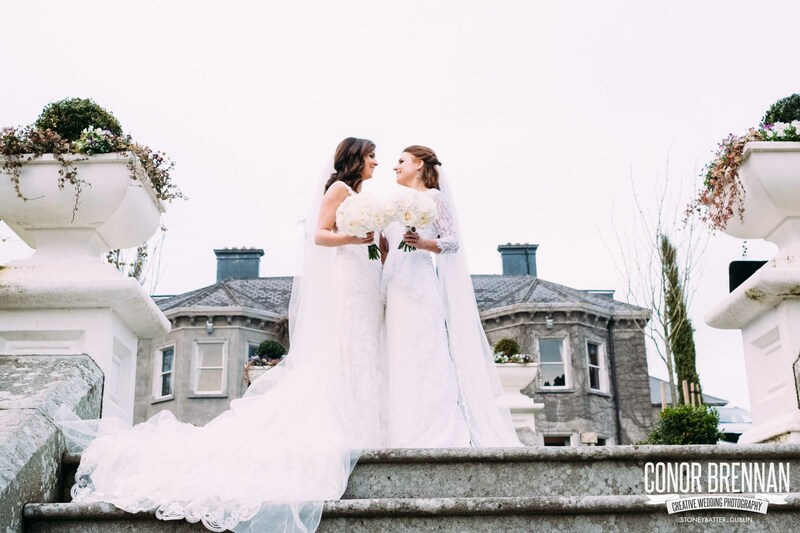 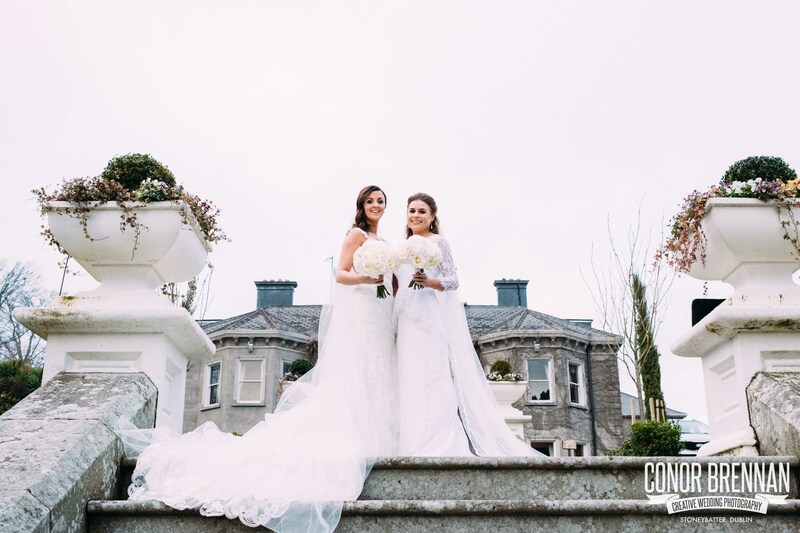 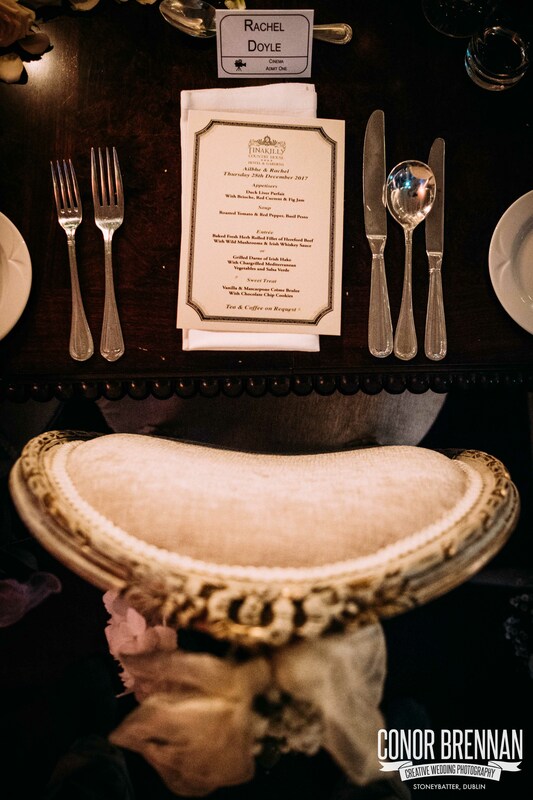 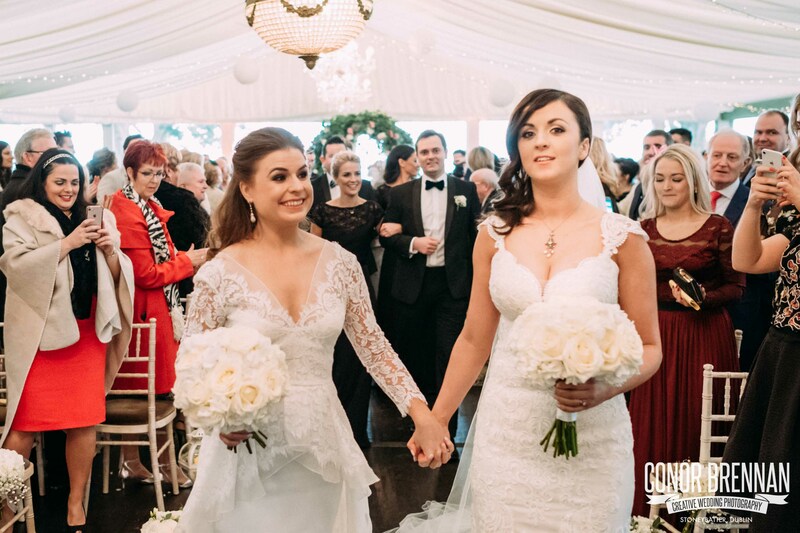 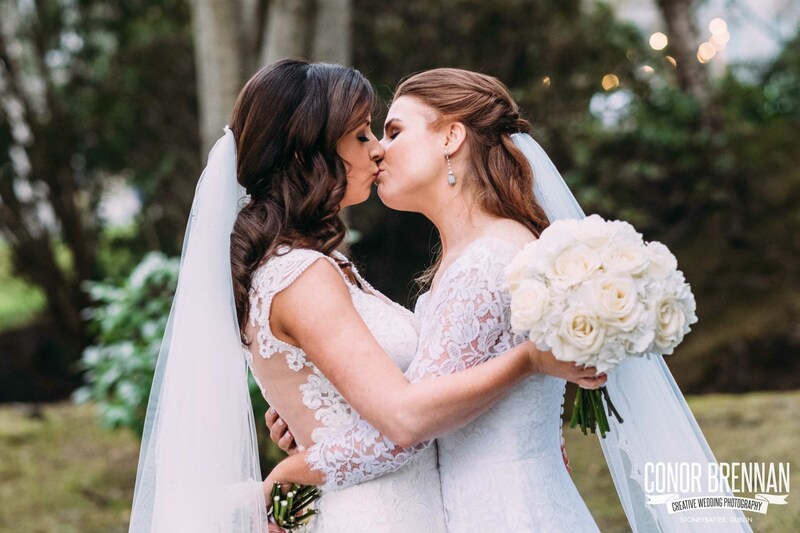 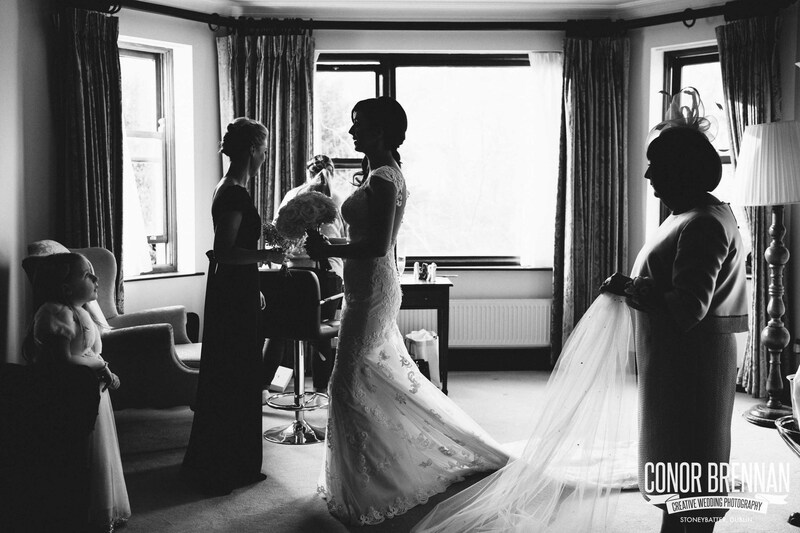 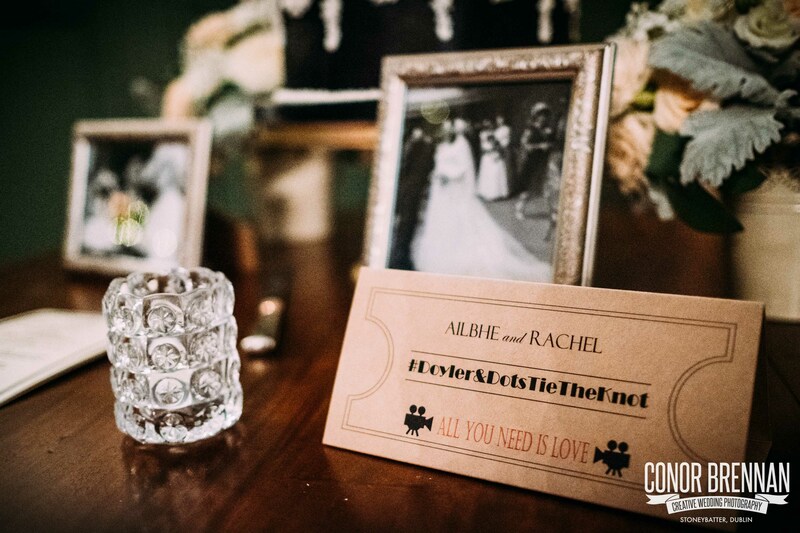 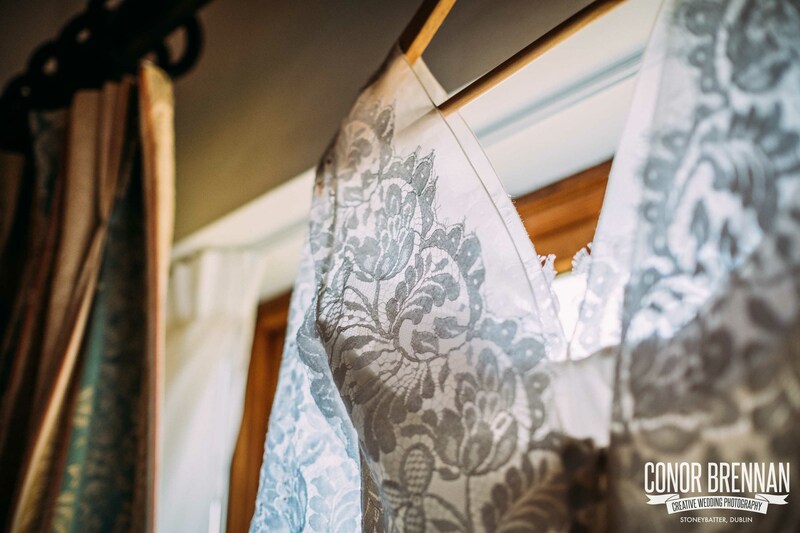 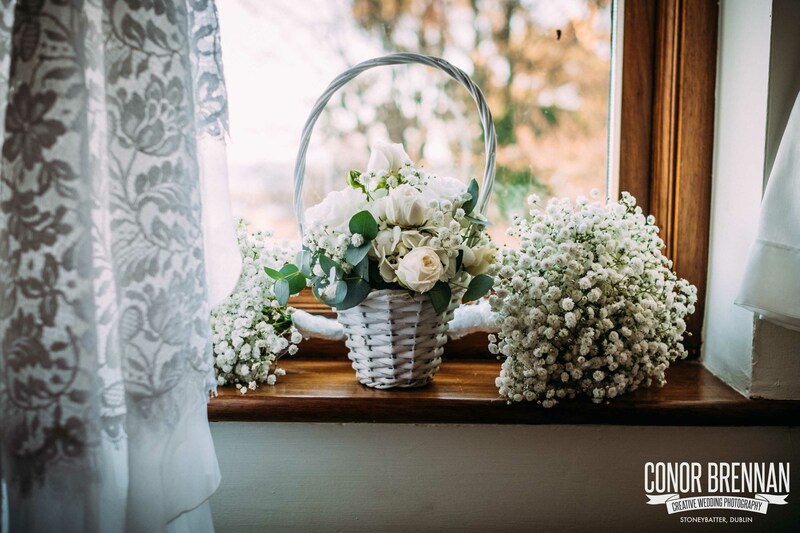 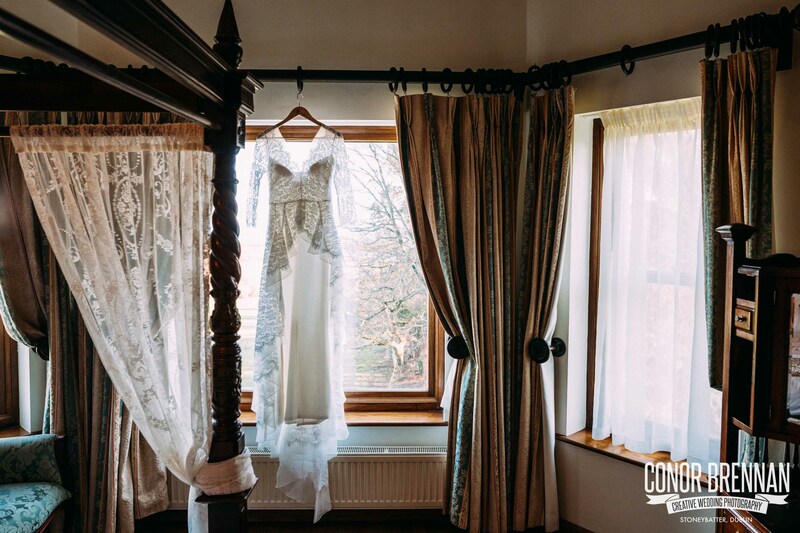 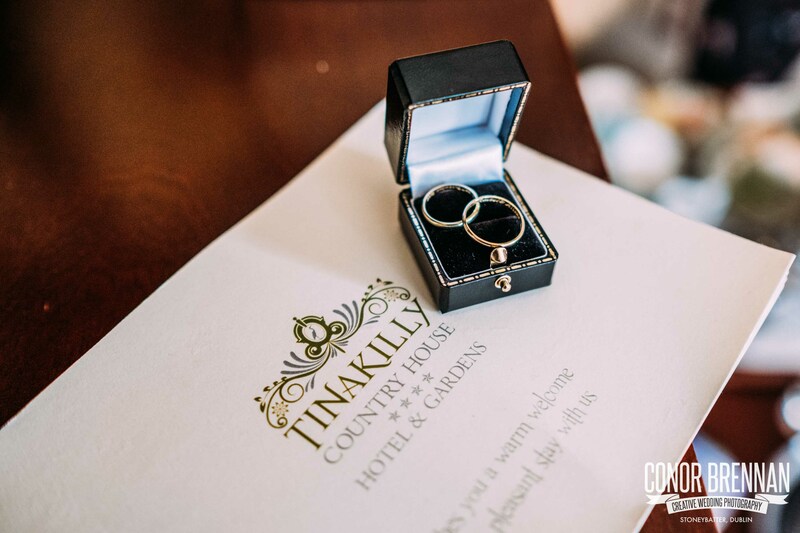 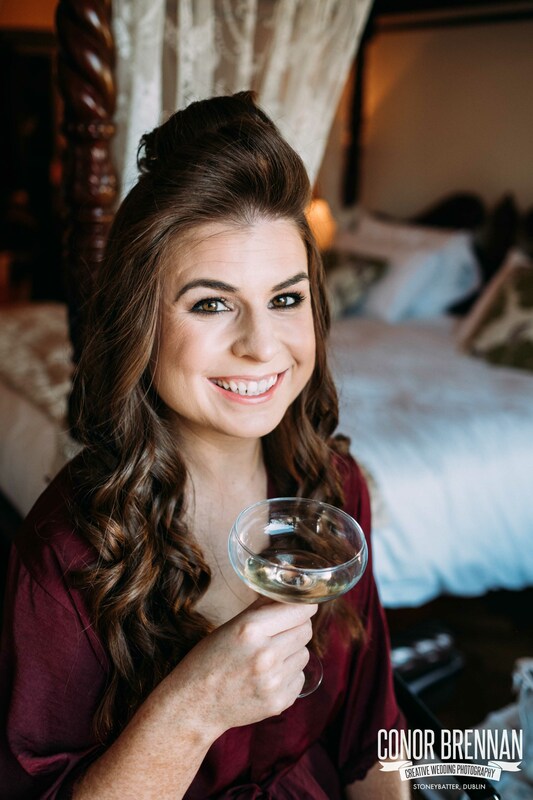 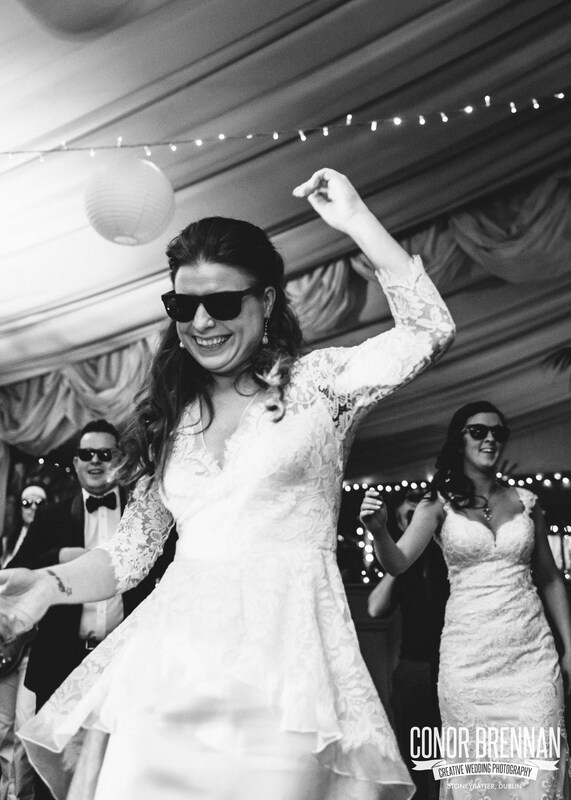 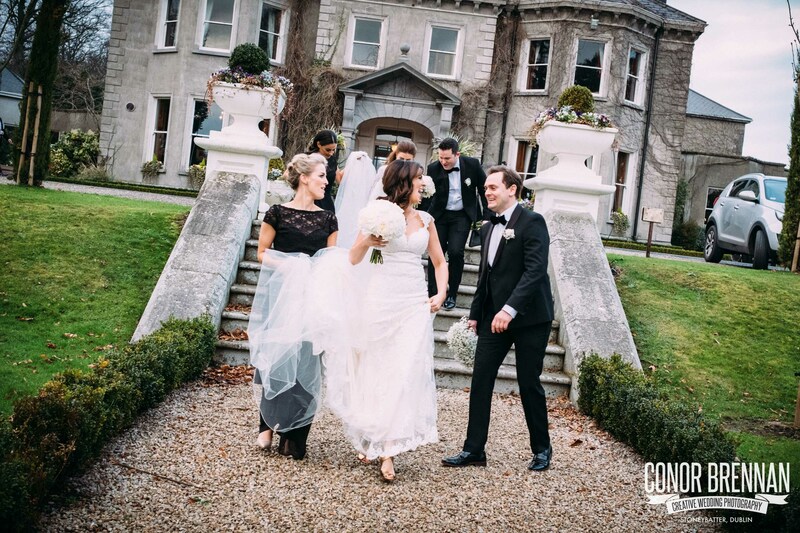 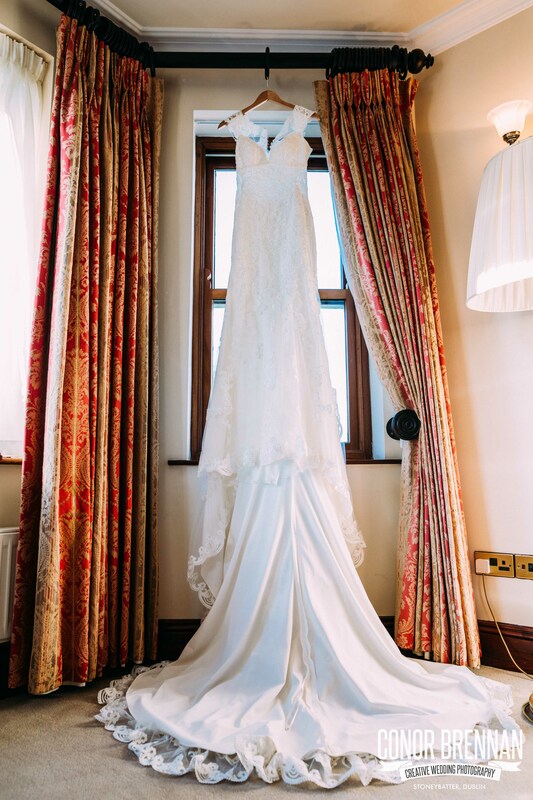 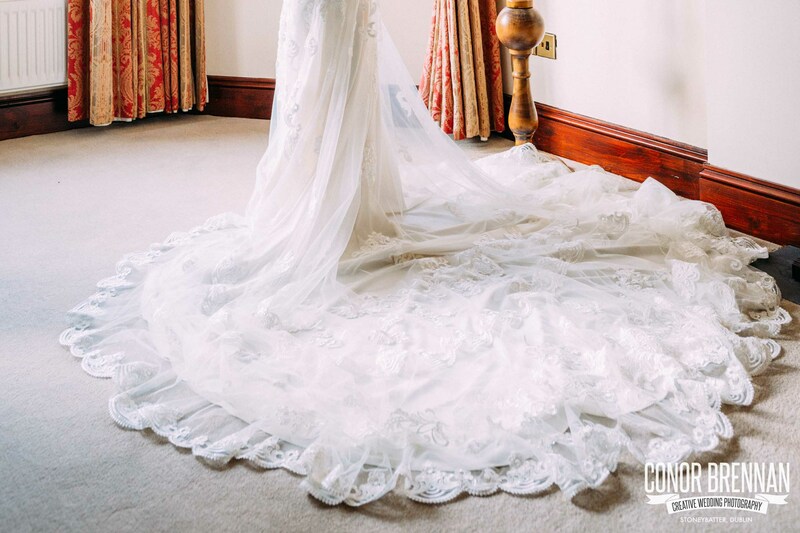 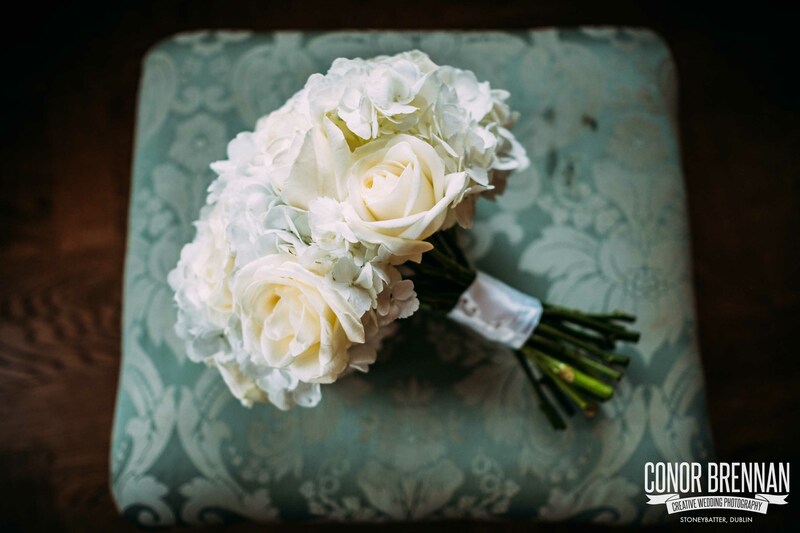 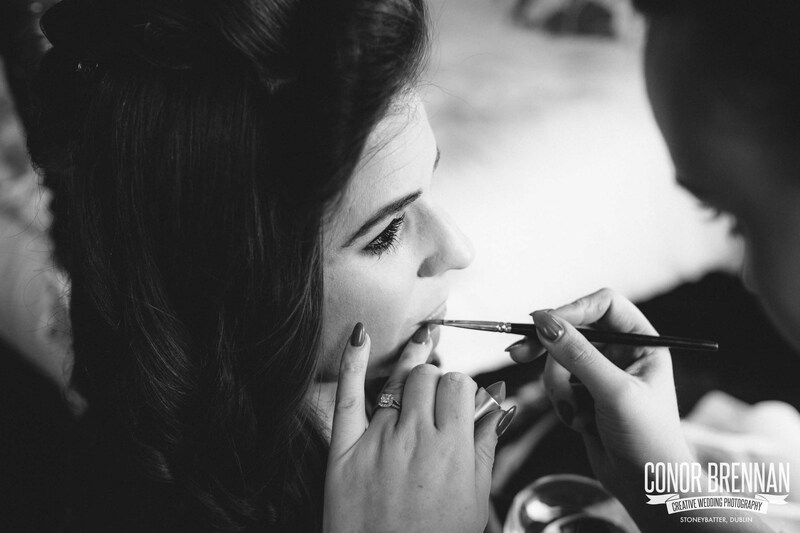 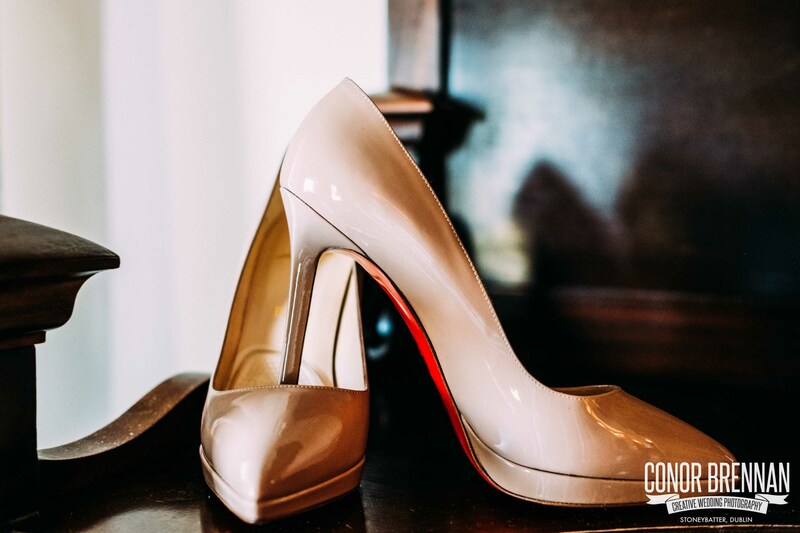 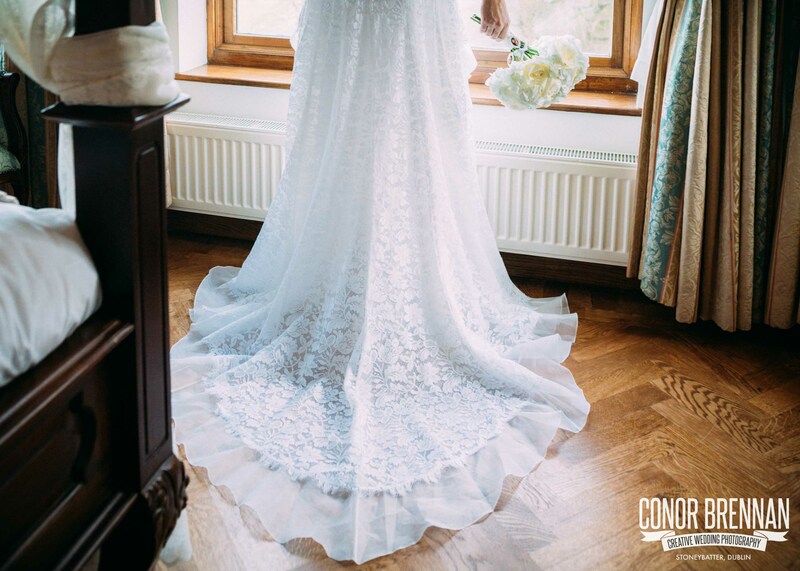 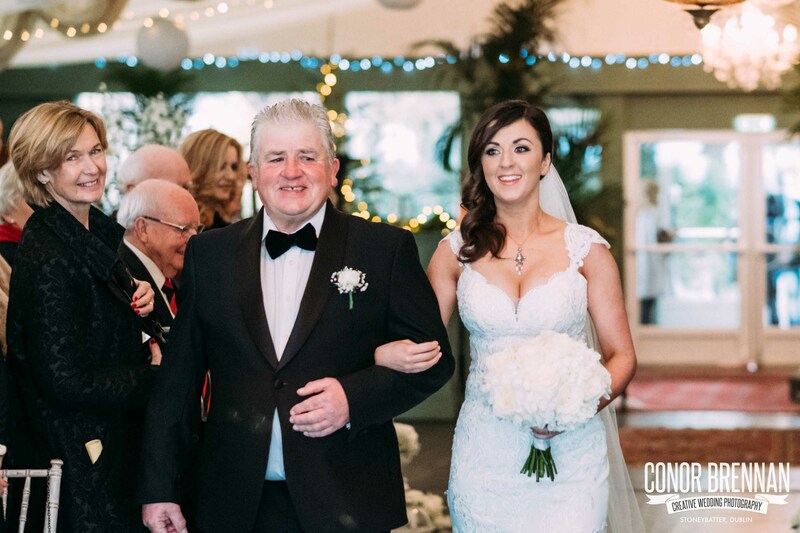 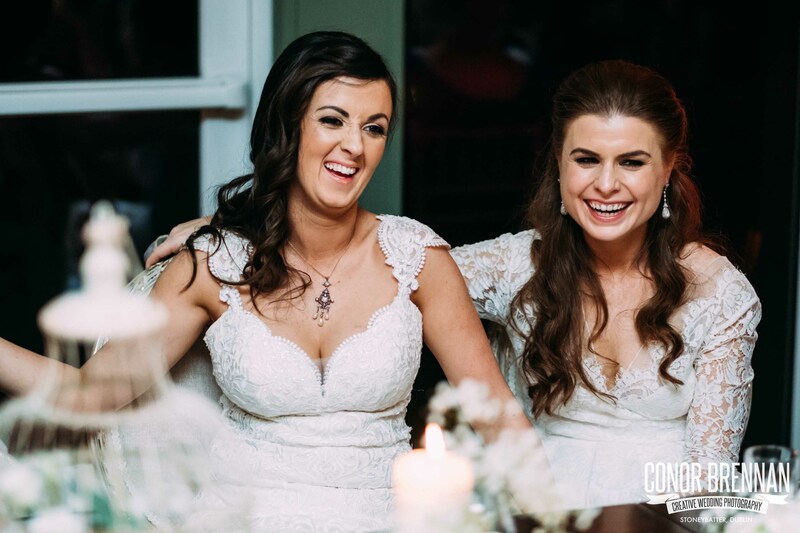 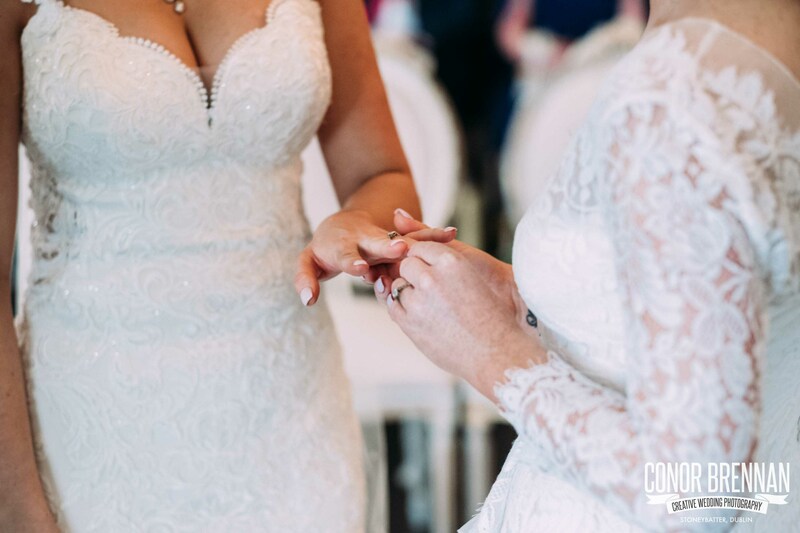 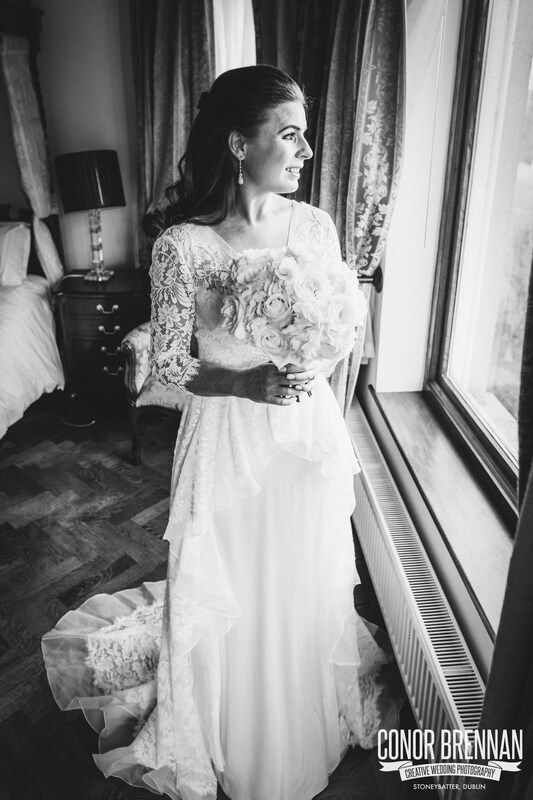 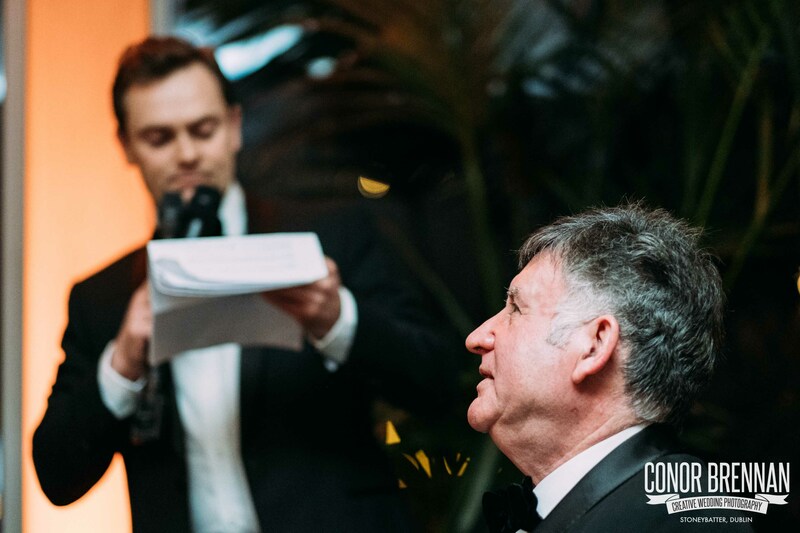 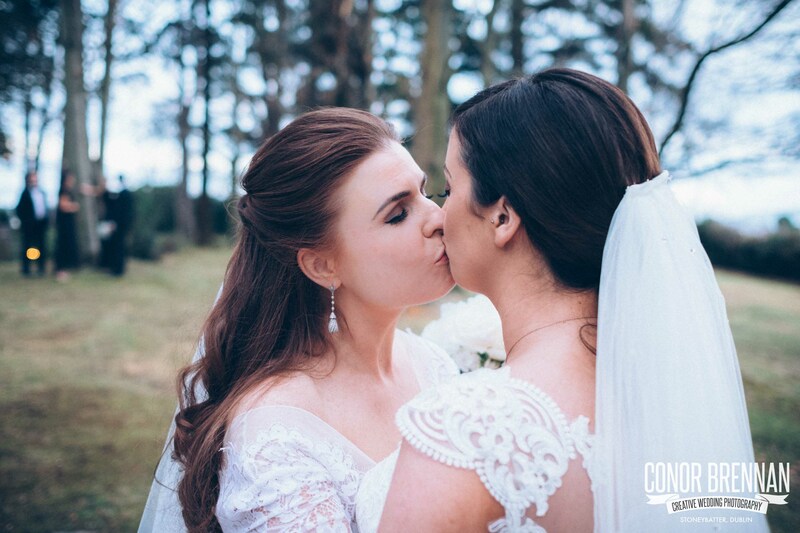 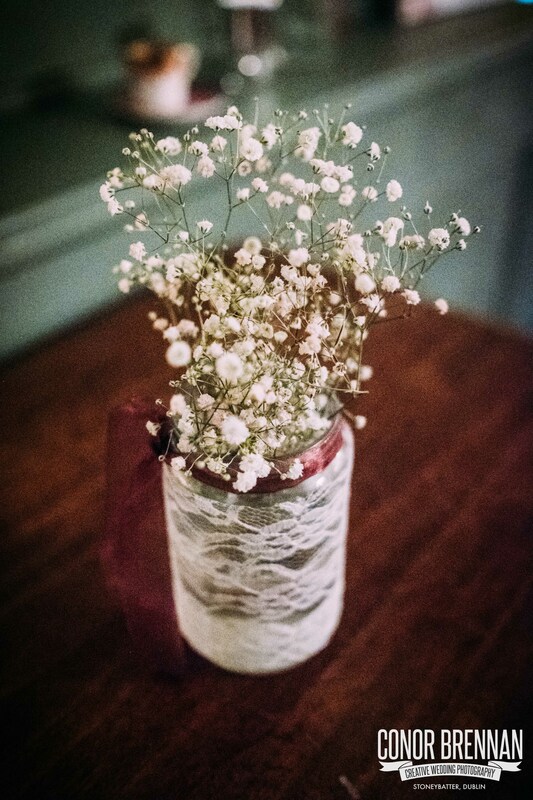 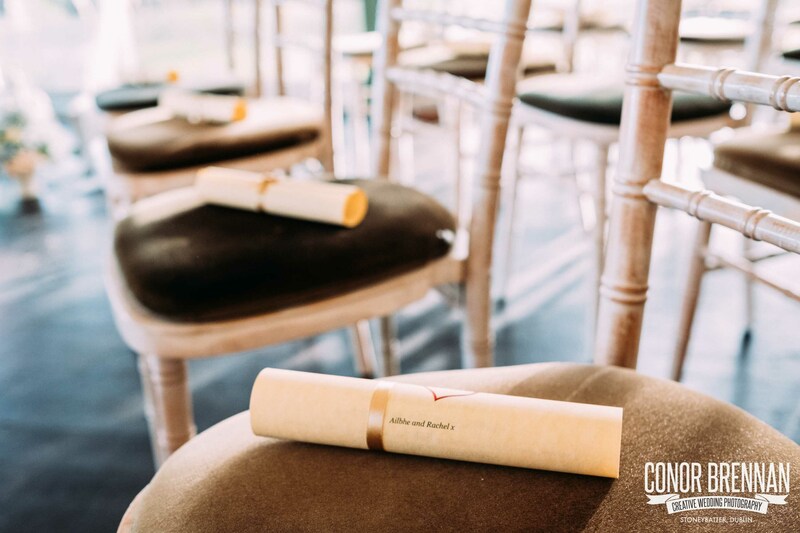 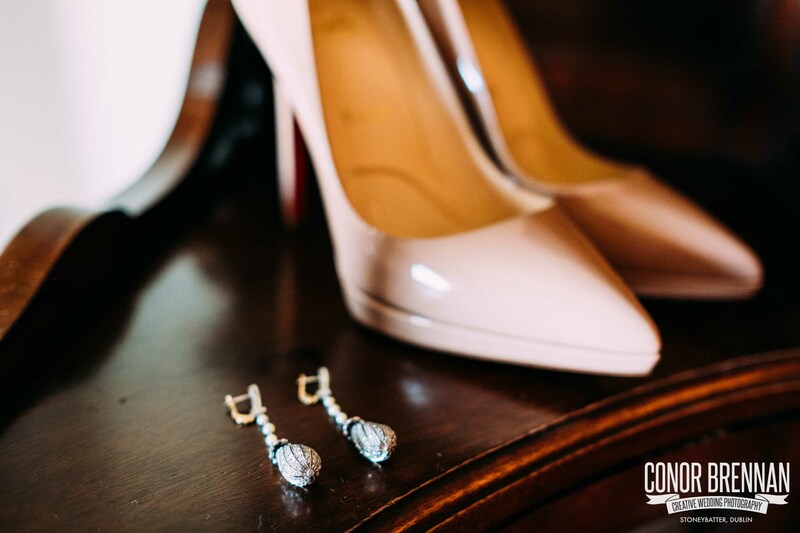 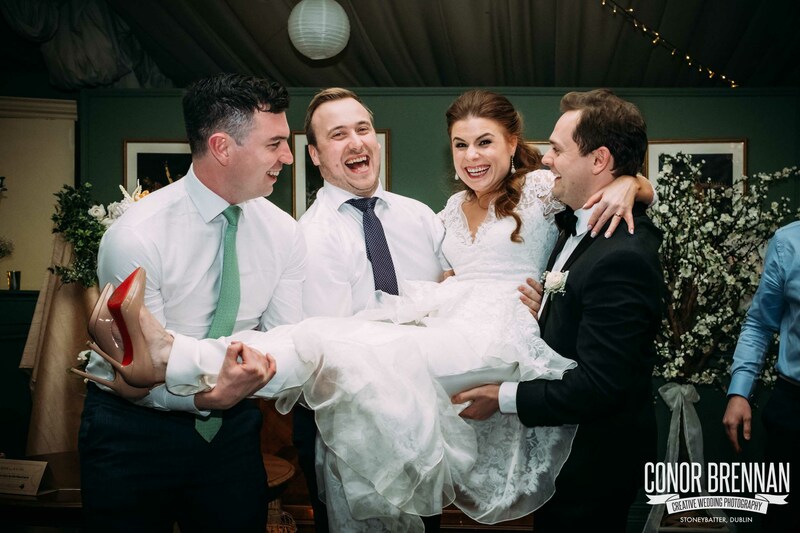 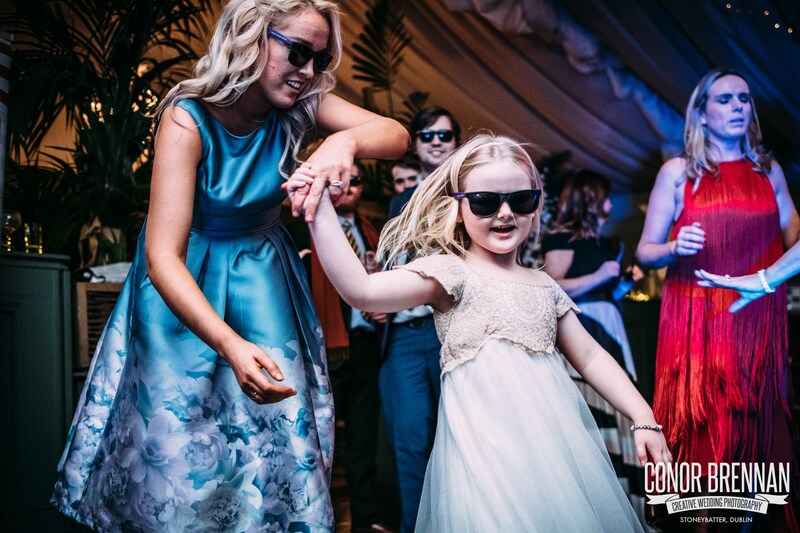 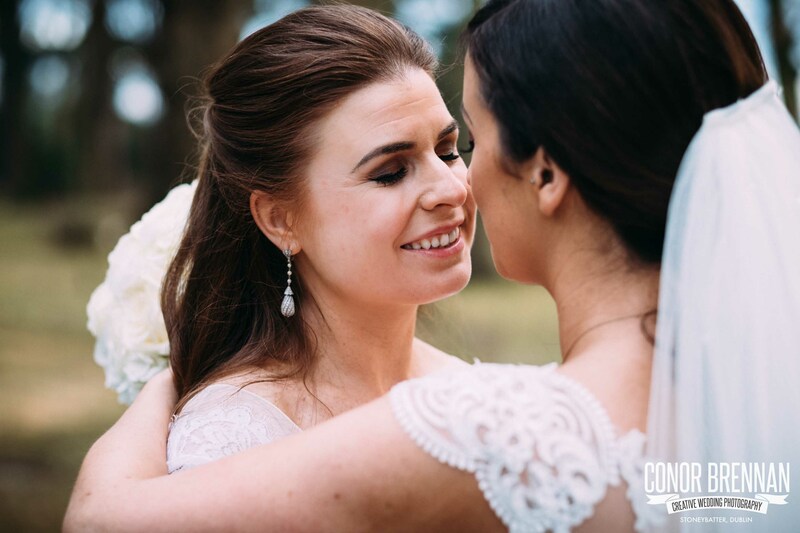 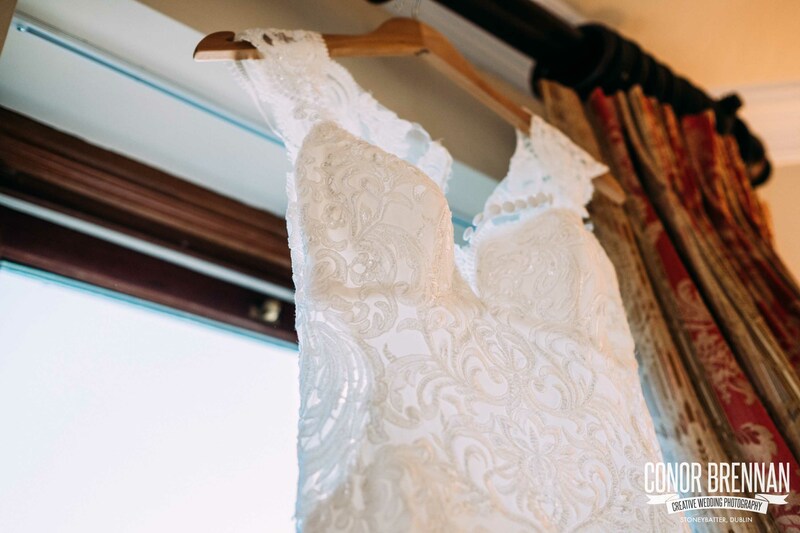 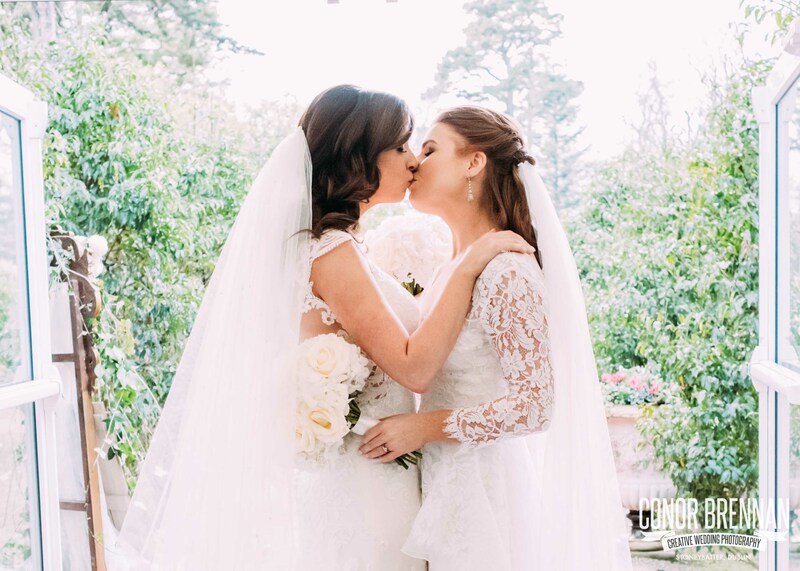 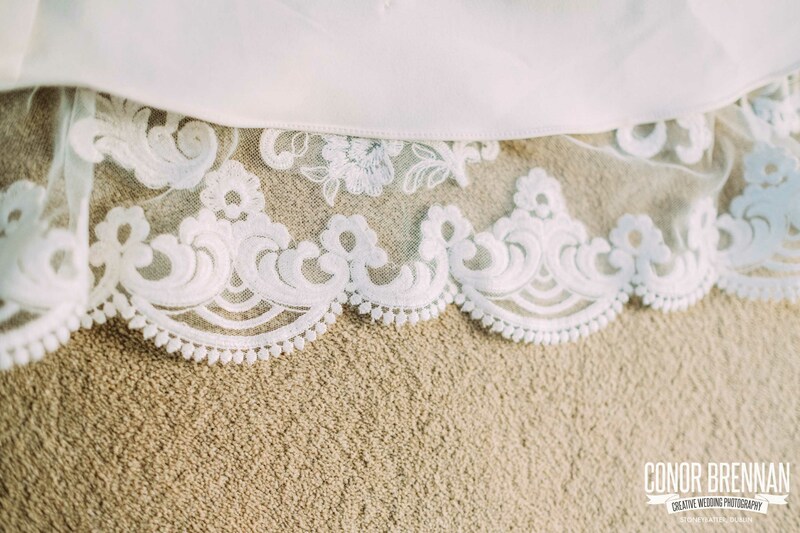 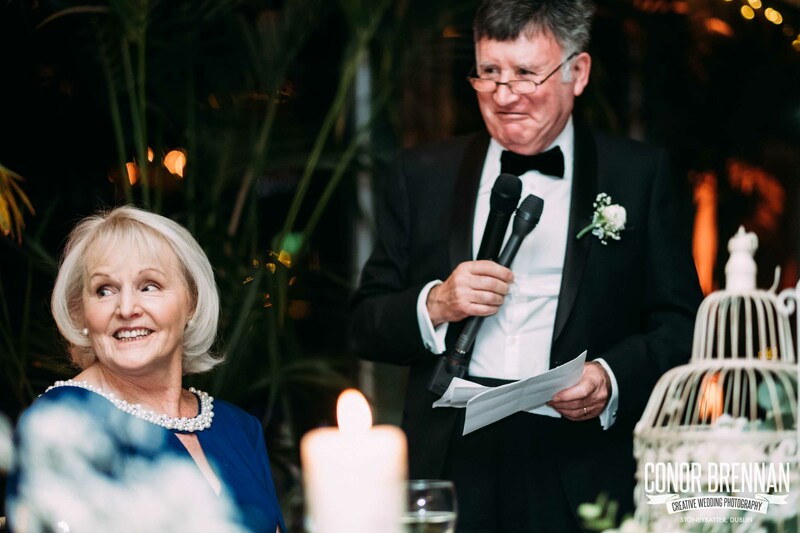 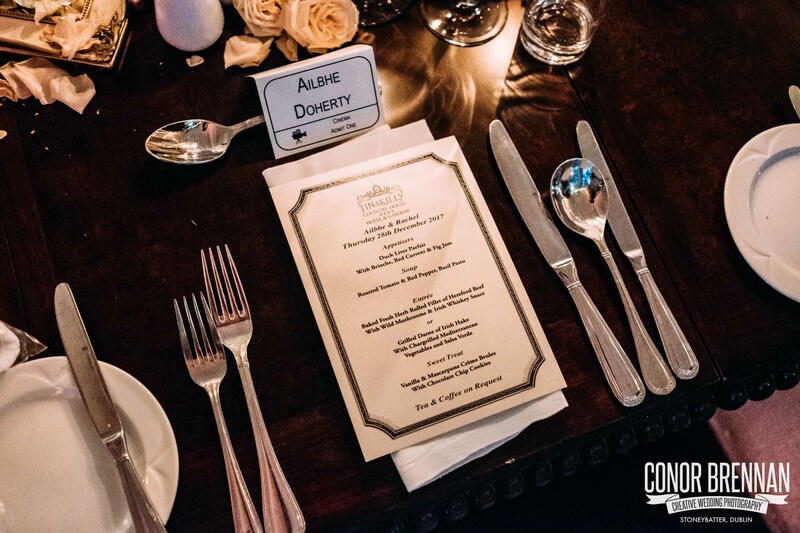 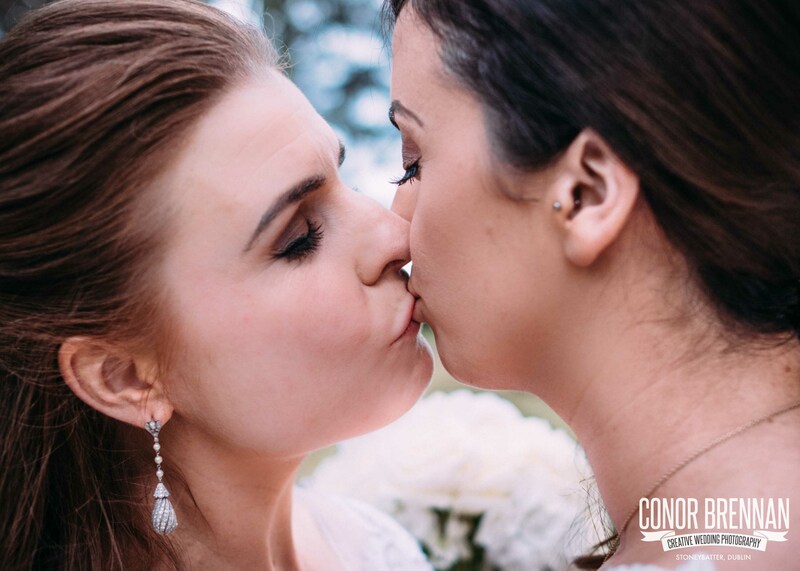 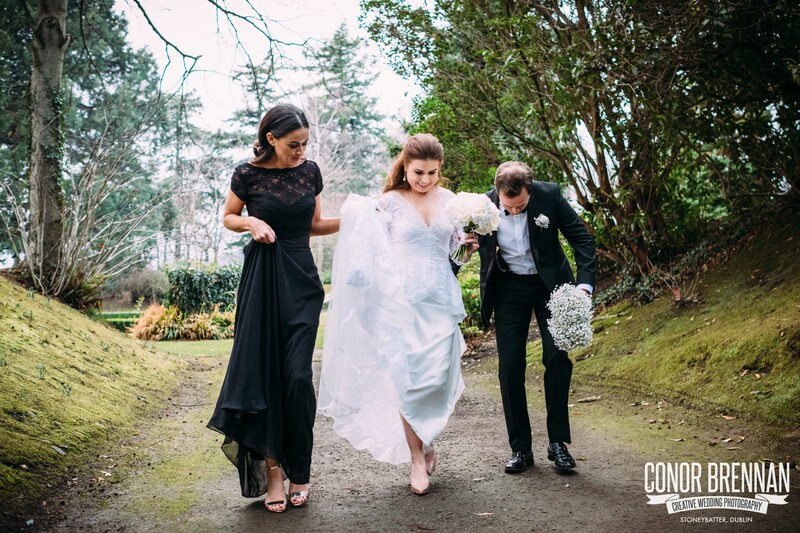 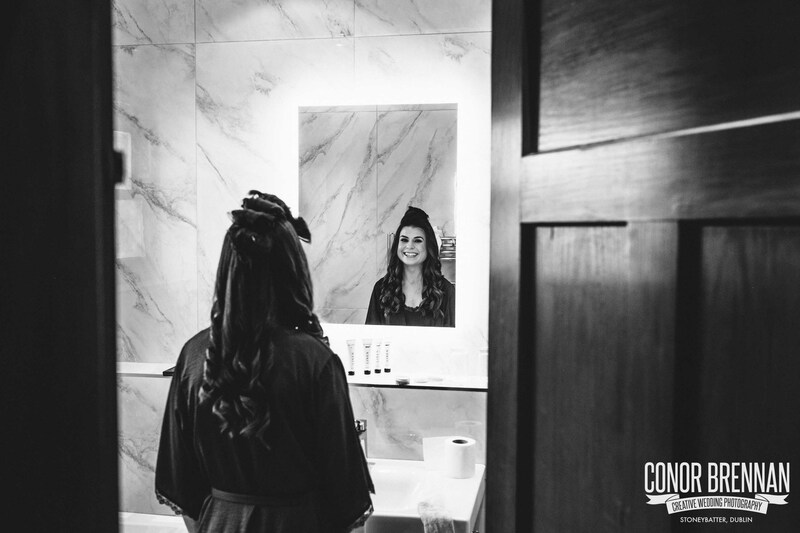 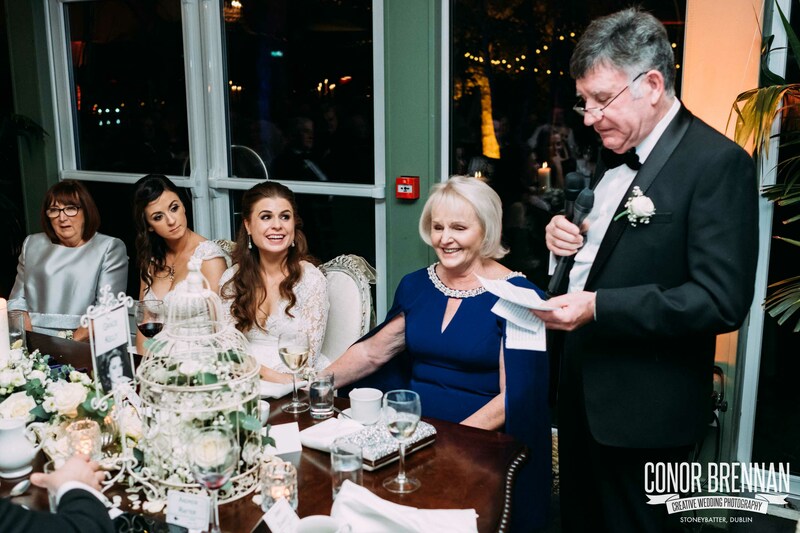 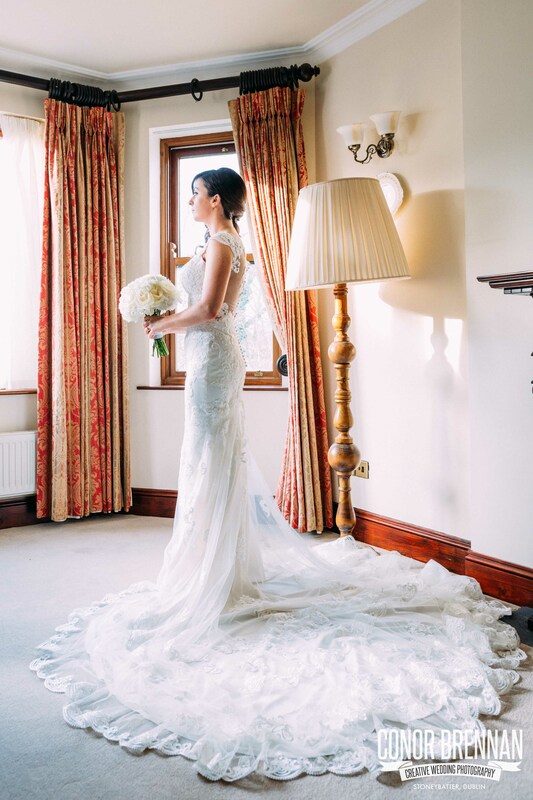 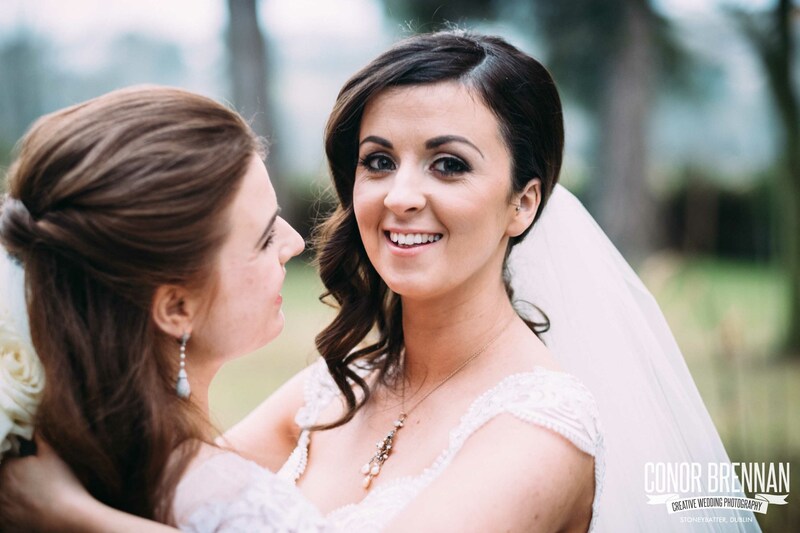 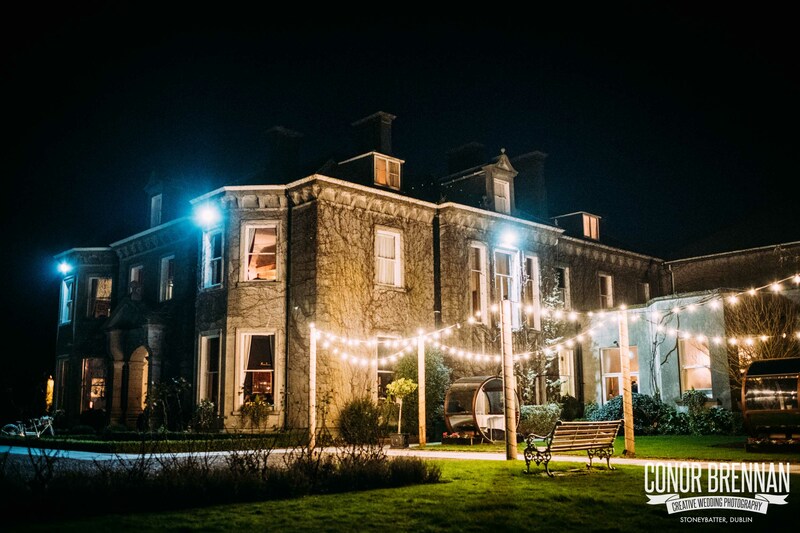 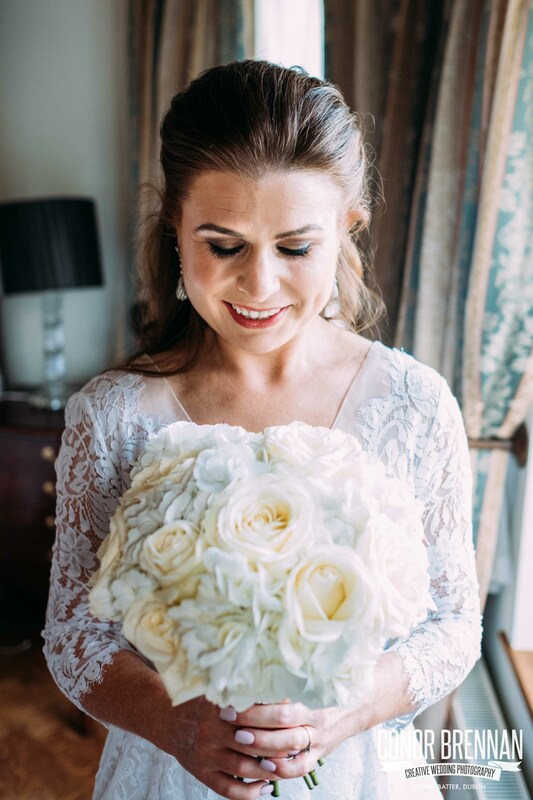 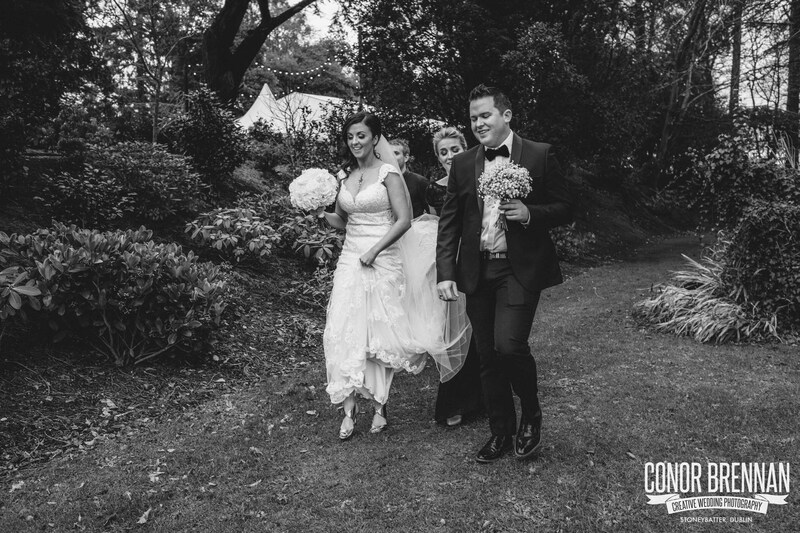 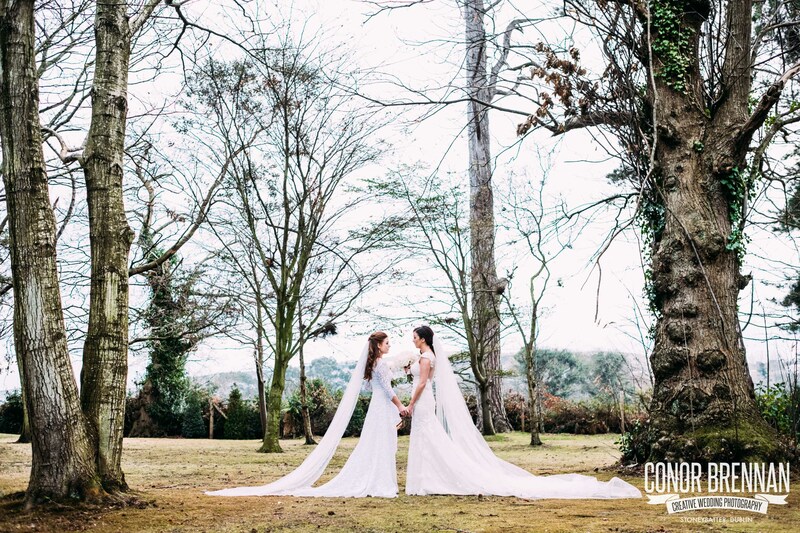 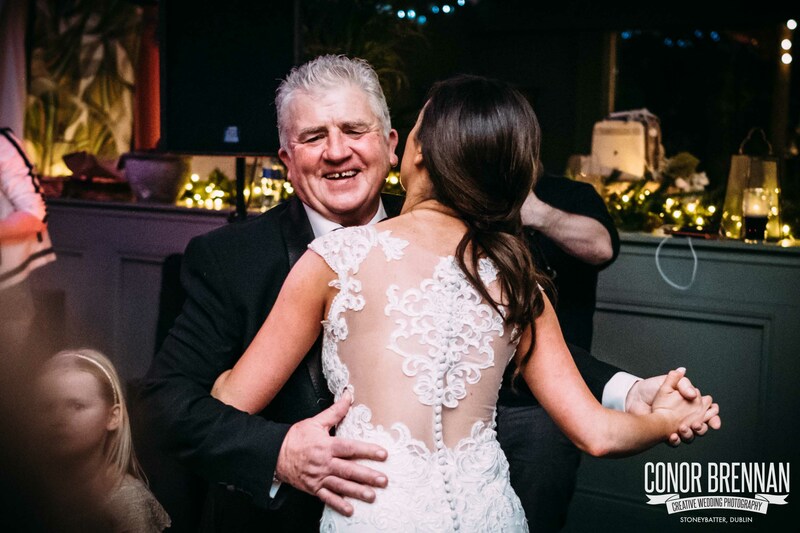 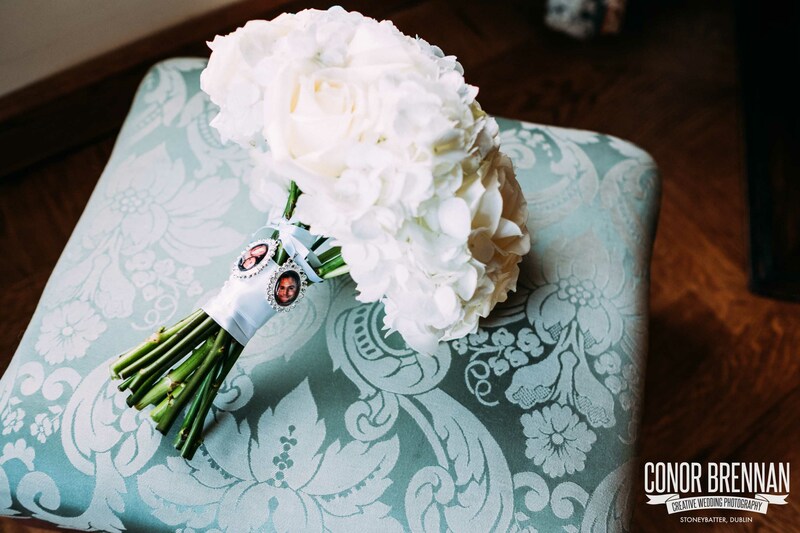 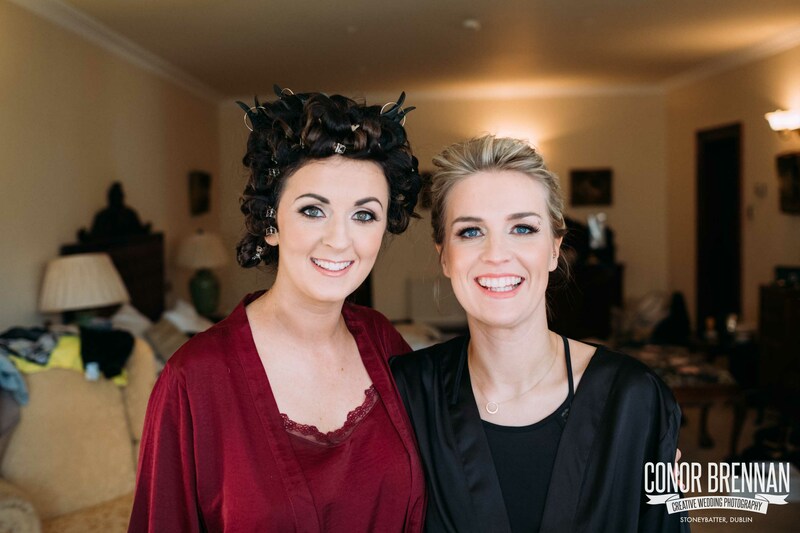 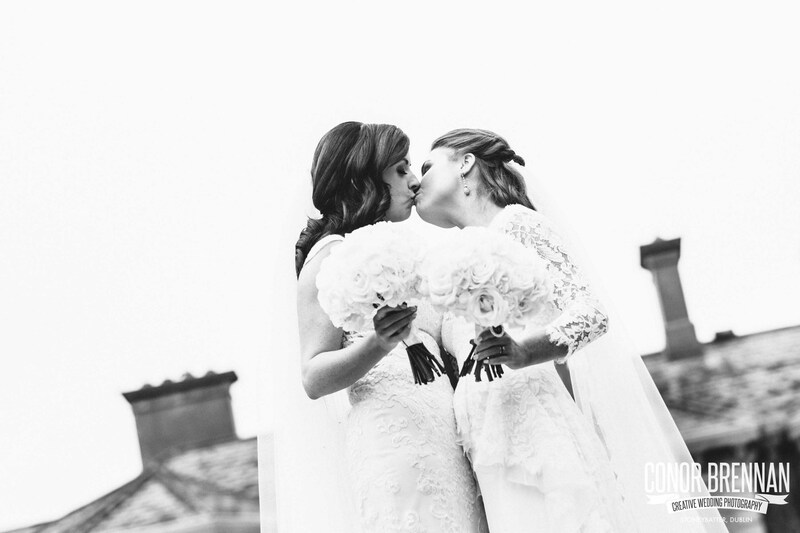 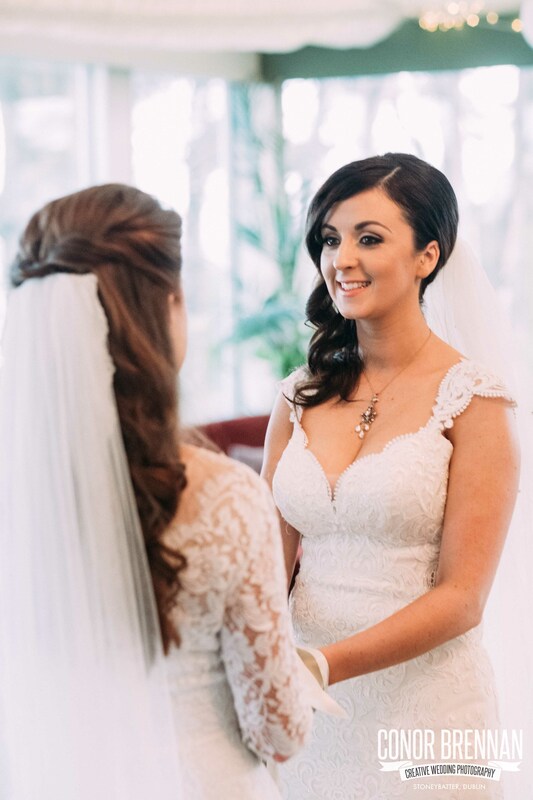 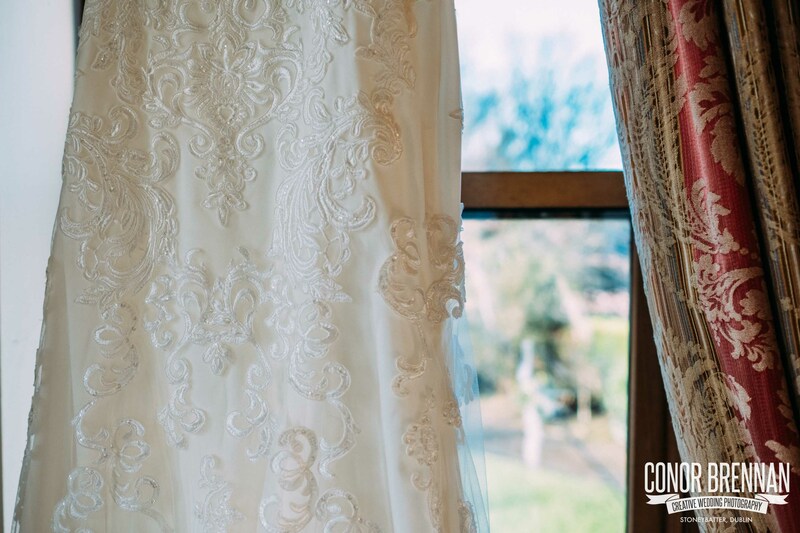 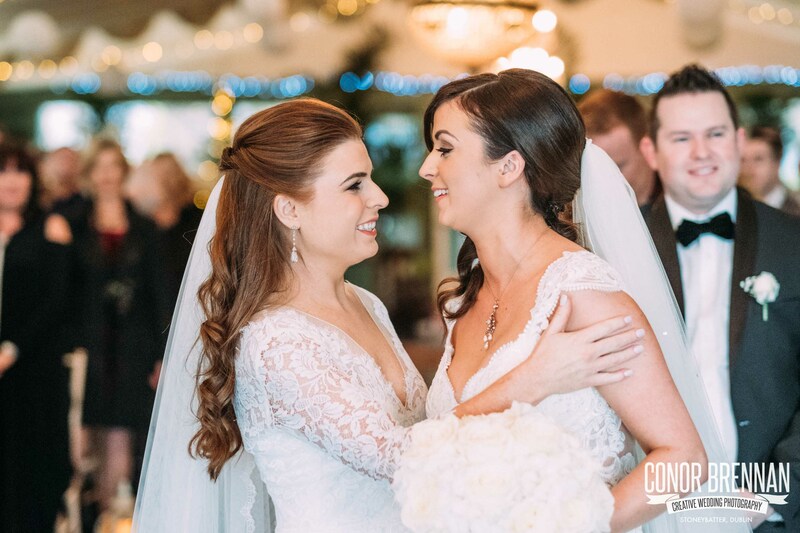 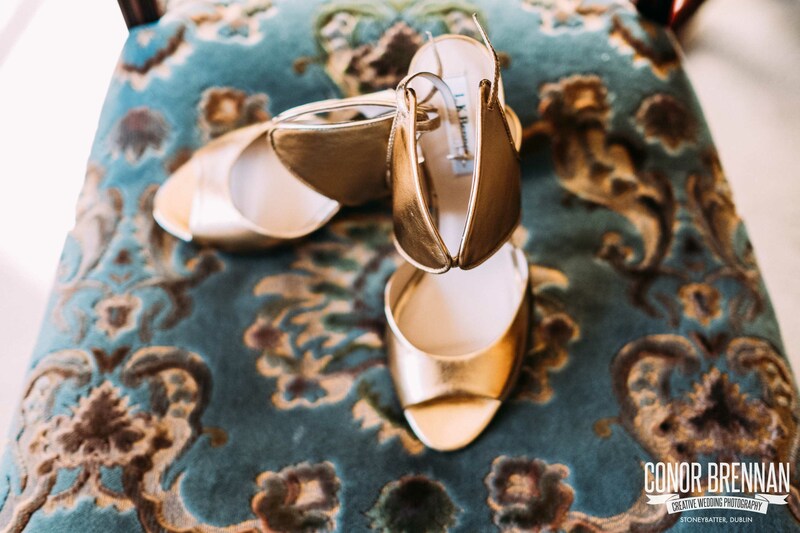 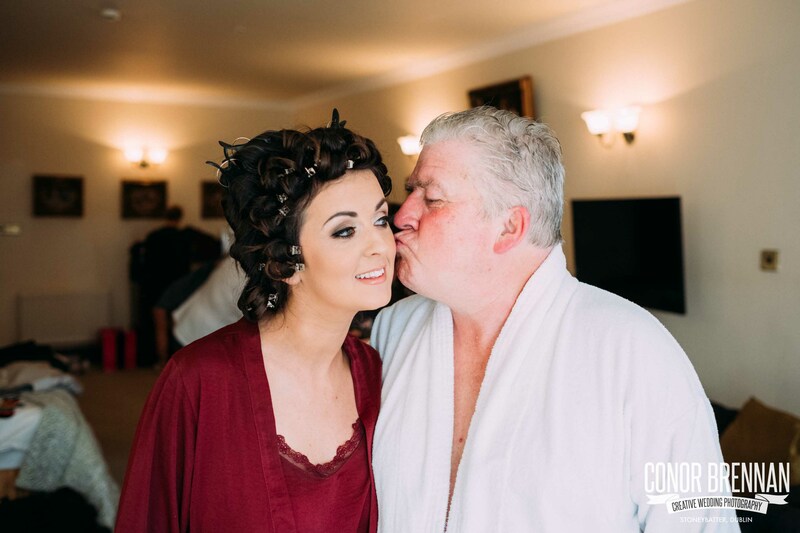 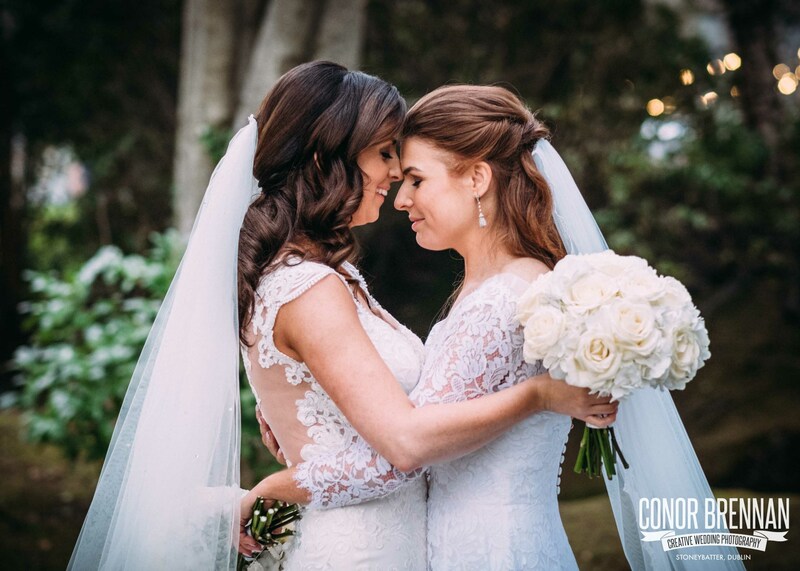 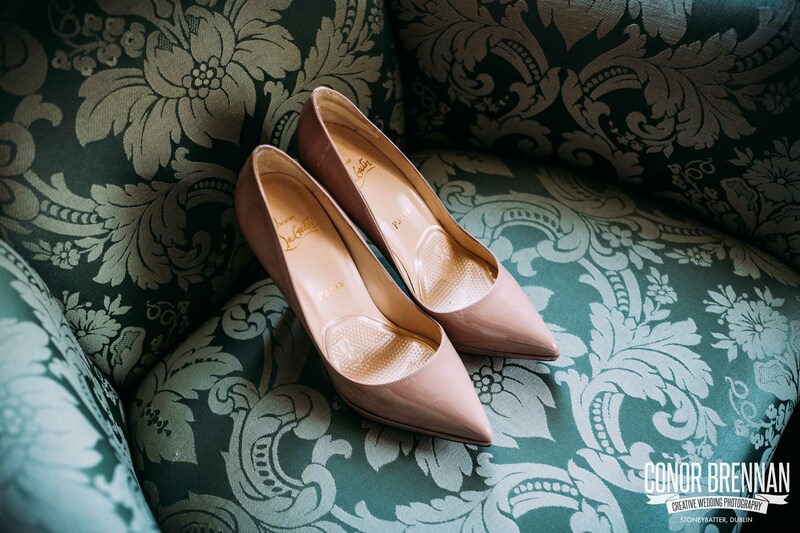 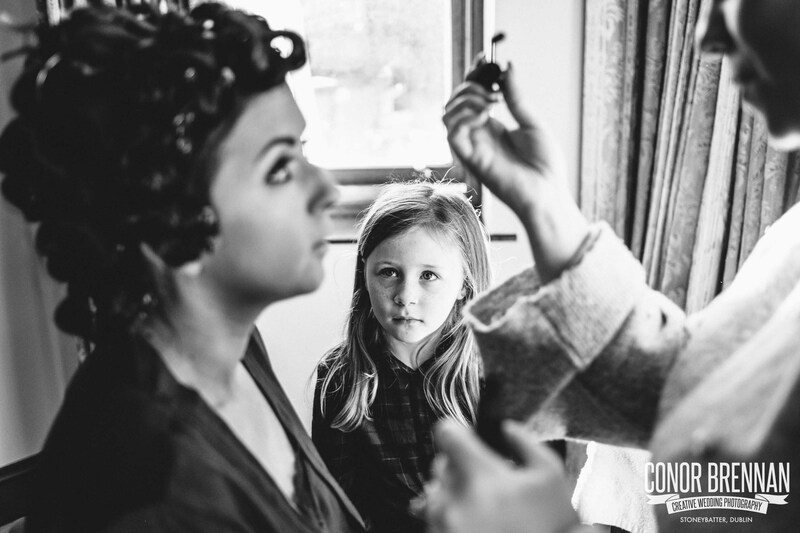 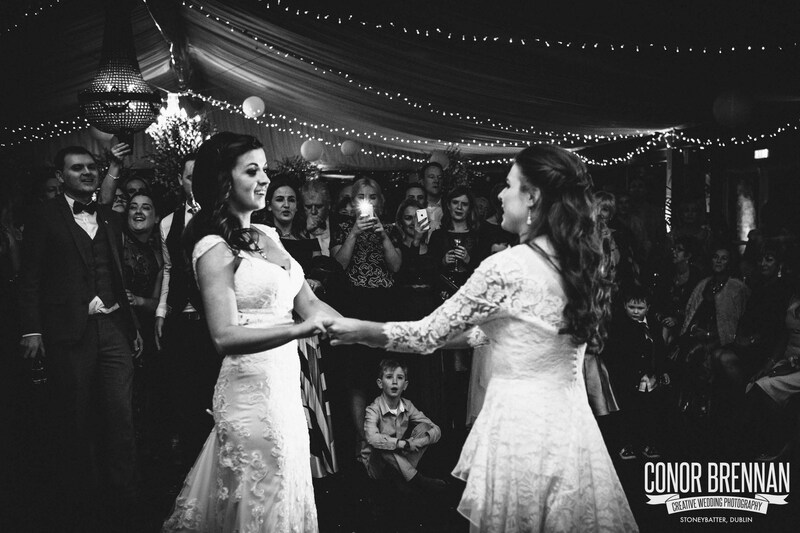 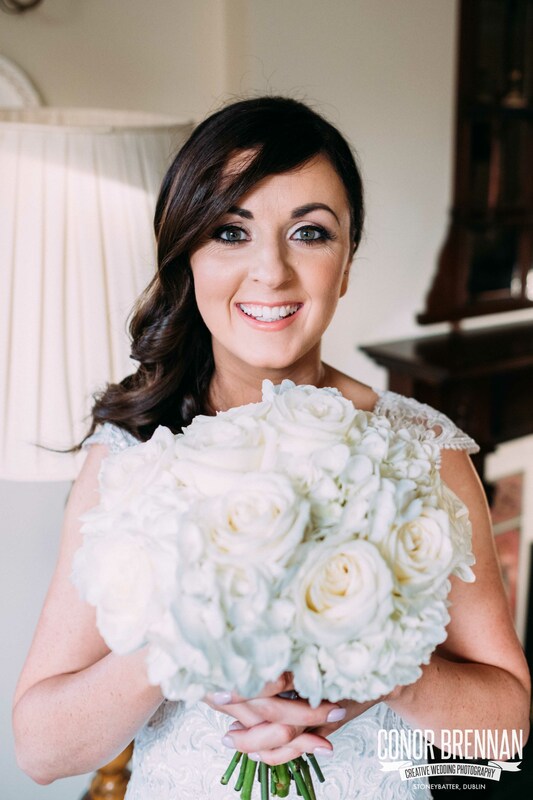 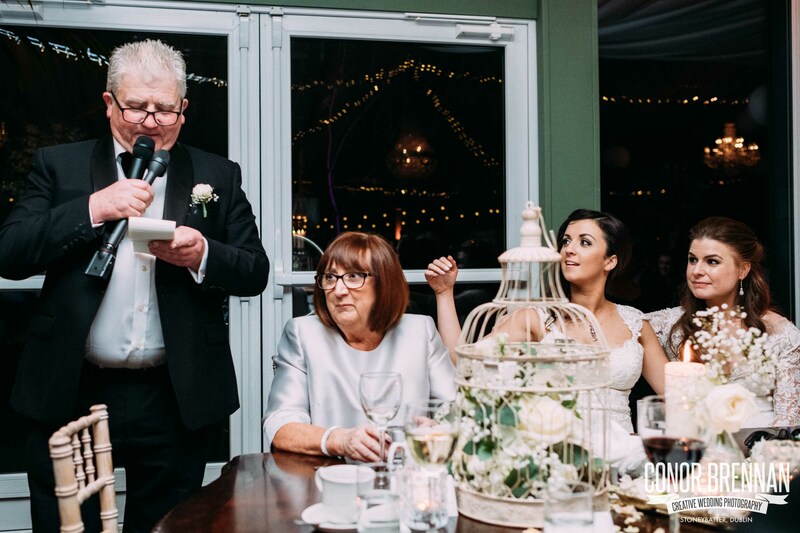 This is the story of Ailbhe & Rachel’s Tinakilly Country House Wedding. 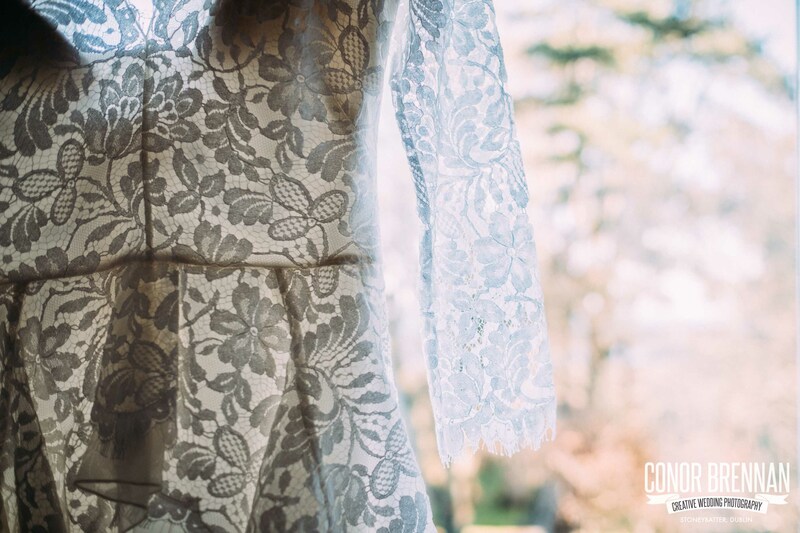 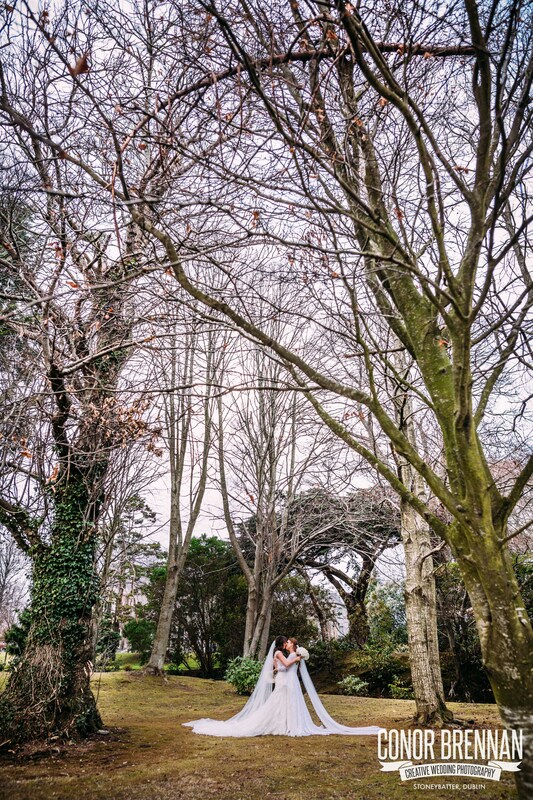 I had the very good fortune of being asked to capture this beautiful day only days after A+R got engaged. 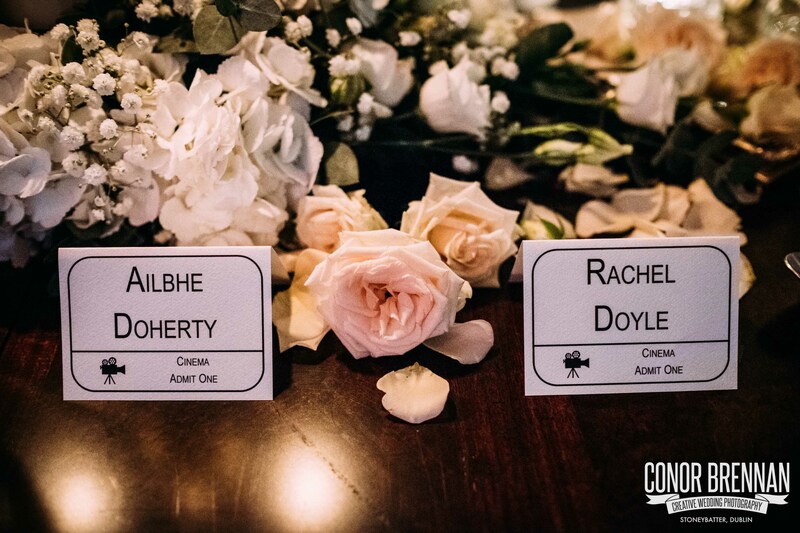 Ailbhe’s brother Rory was a very dear pal of mine who sadly passed away a few years ago. 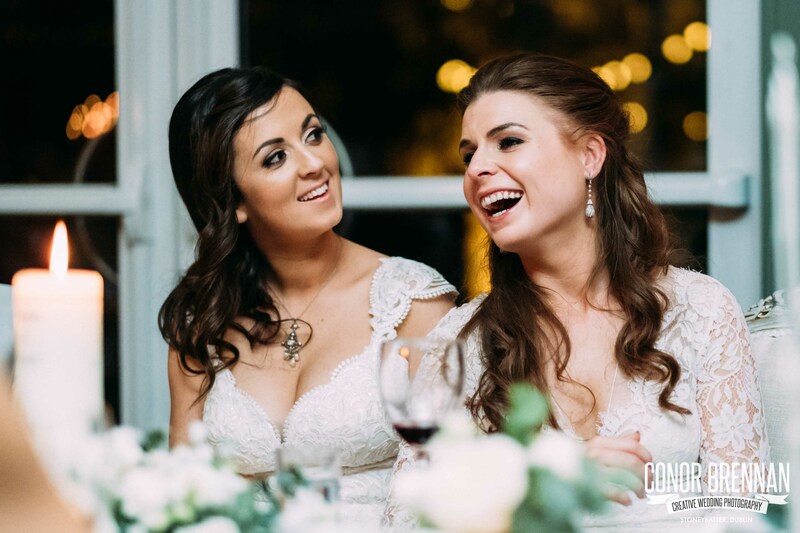 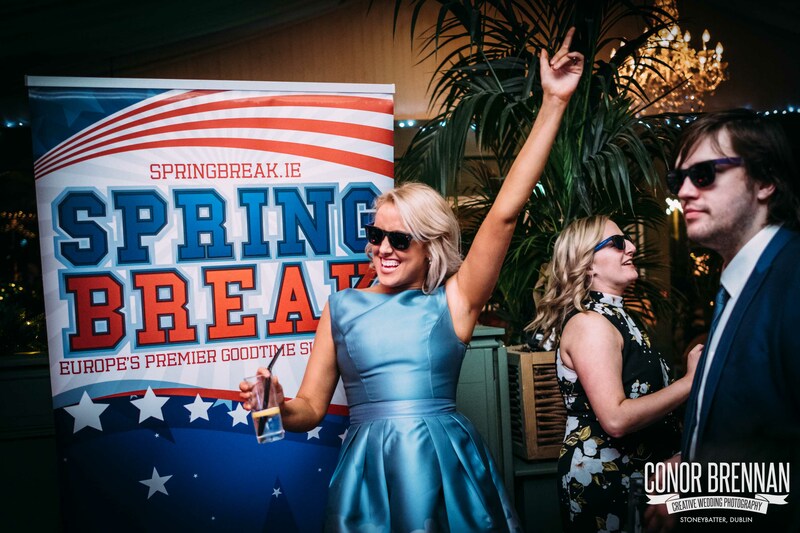 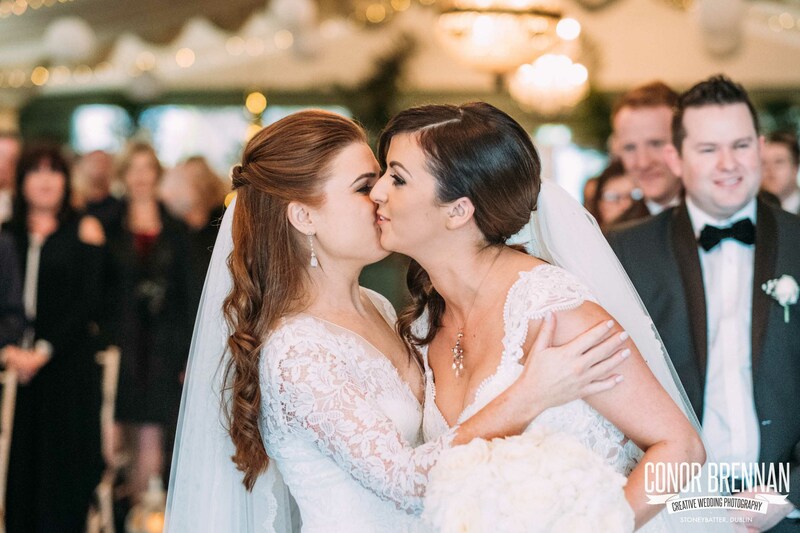 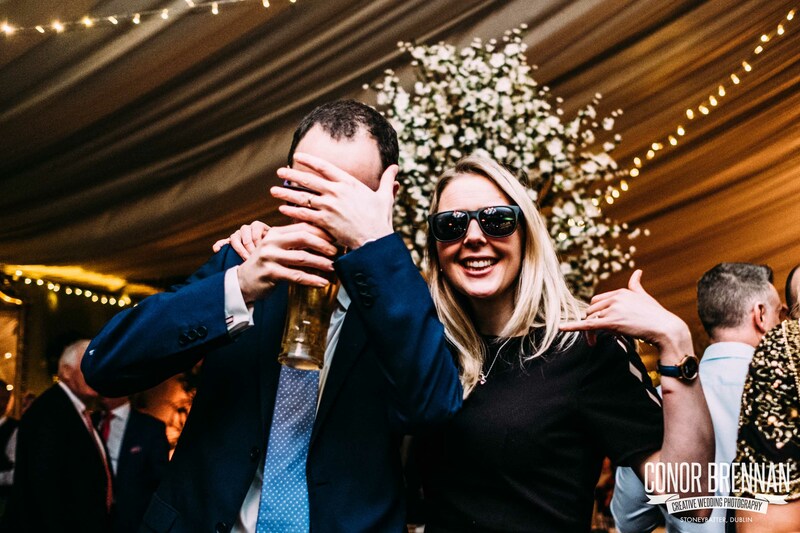 So when Rory’s little sister told me she was tying the knot, I was thrilled to be involved! 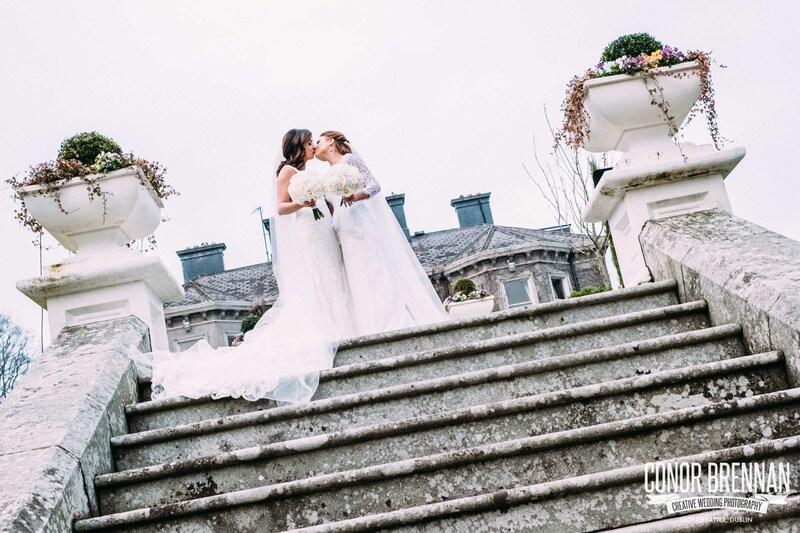 And what a stunning day it was. 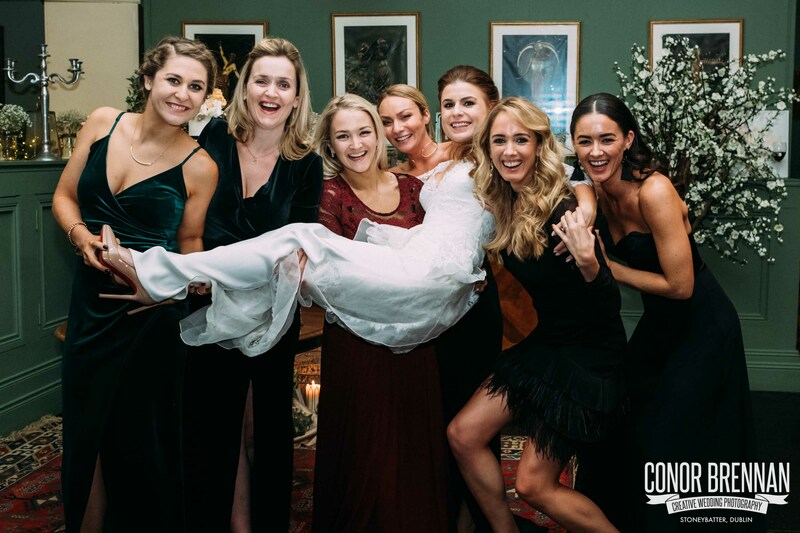 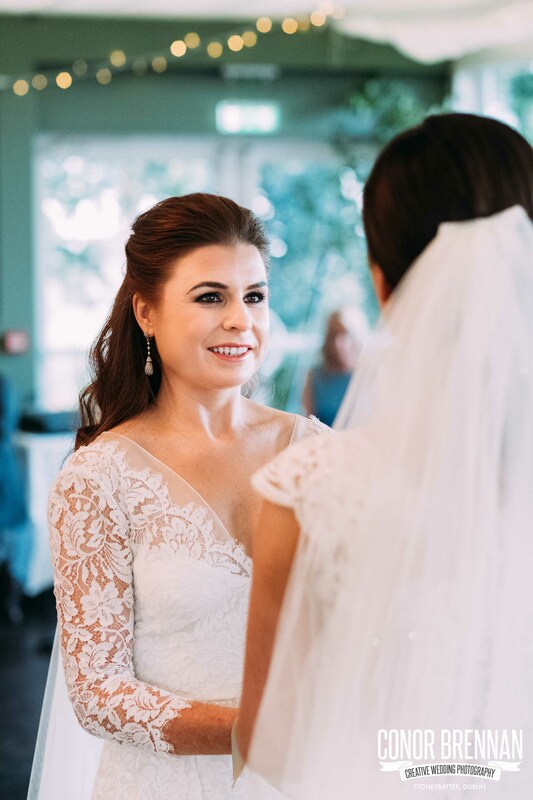 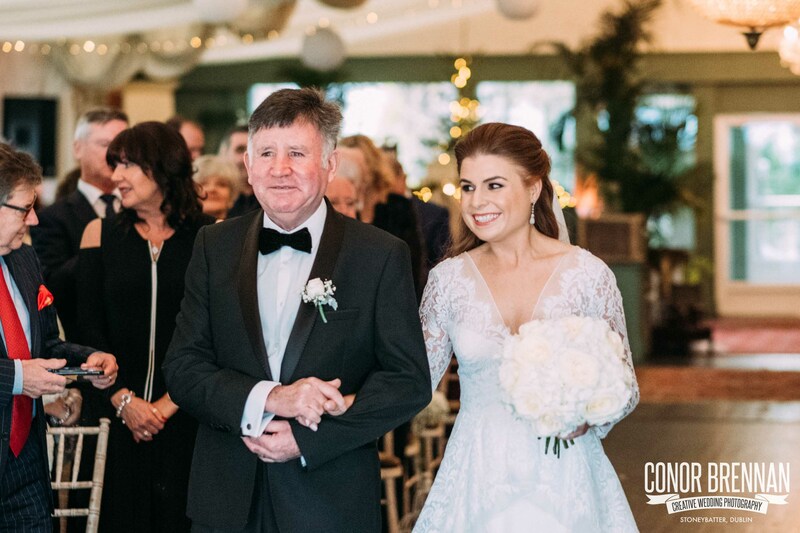 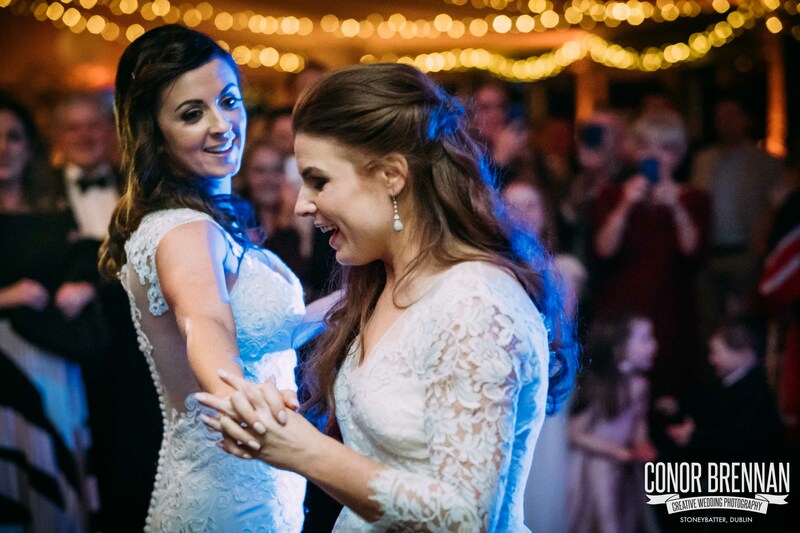 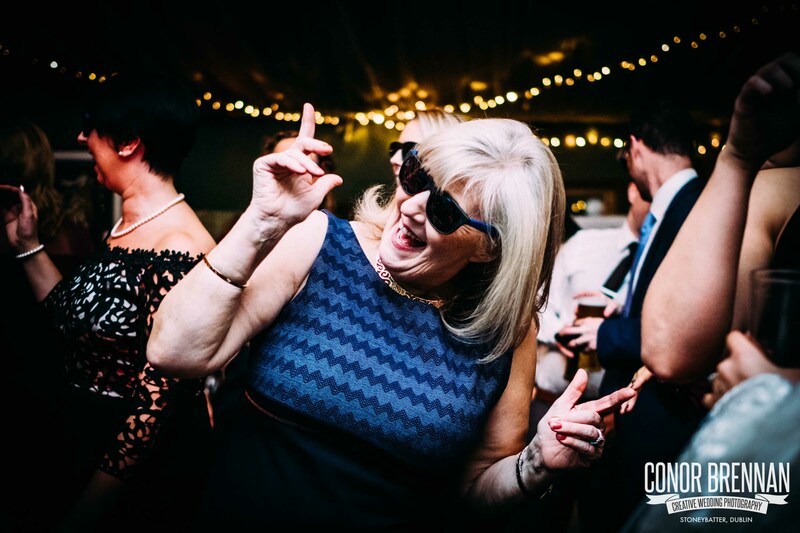 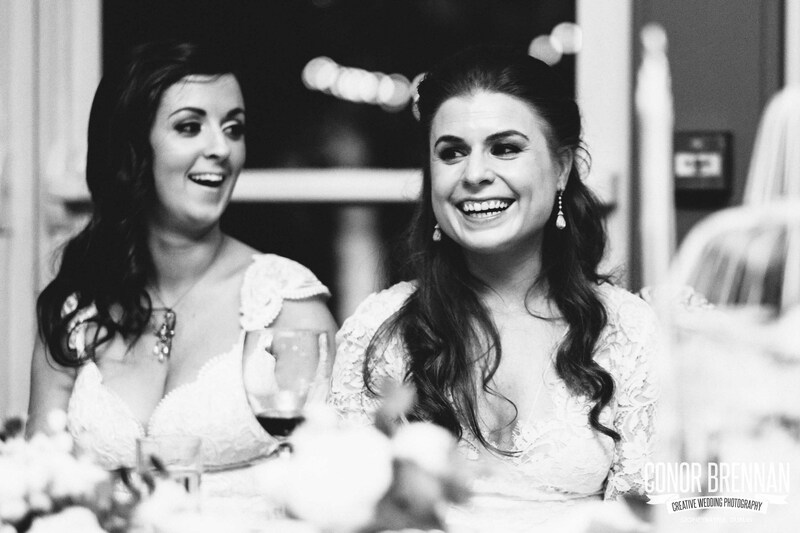 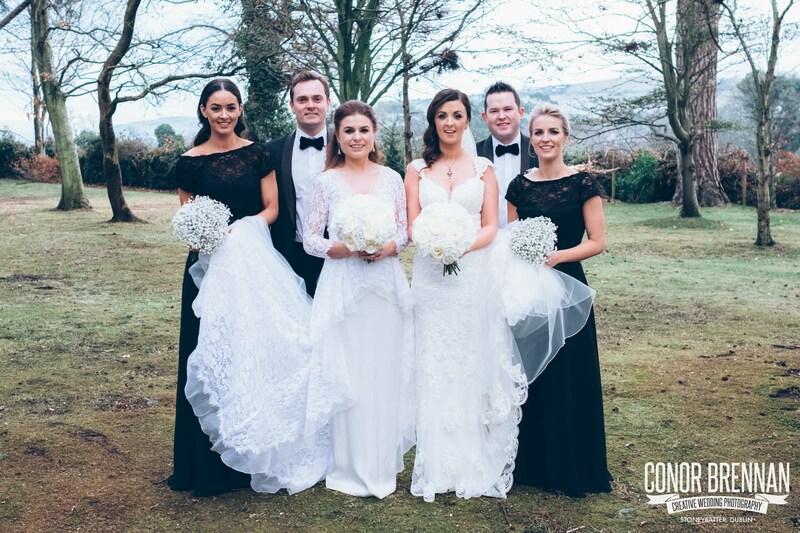 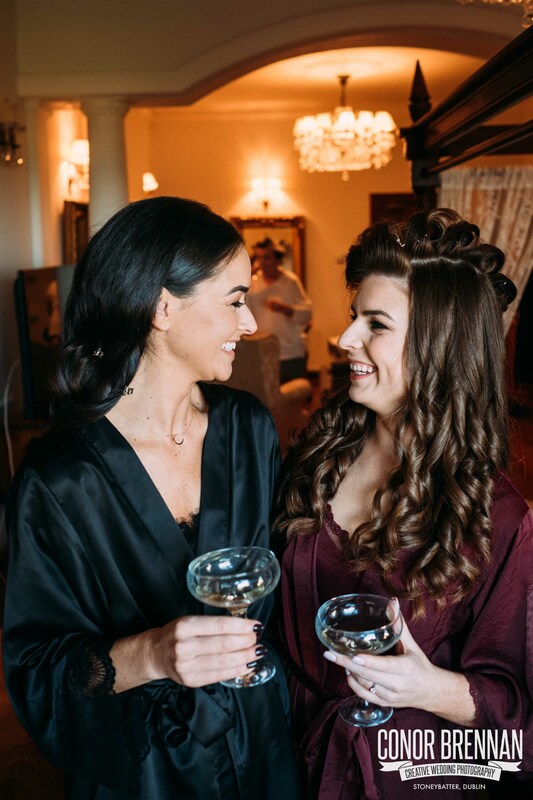 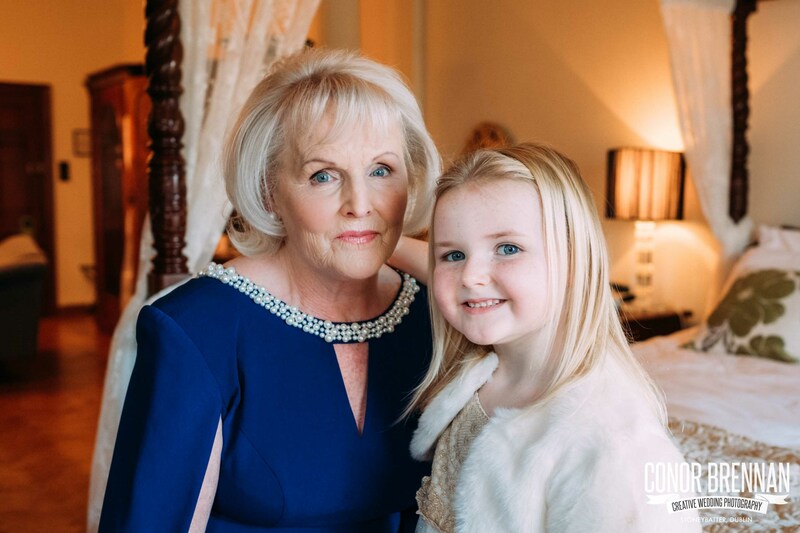 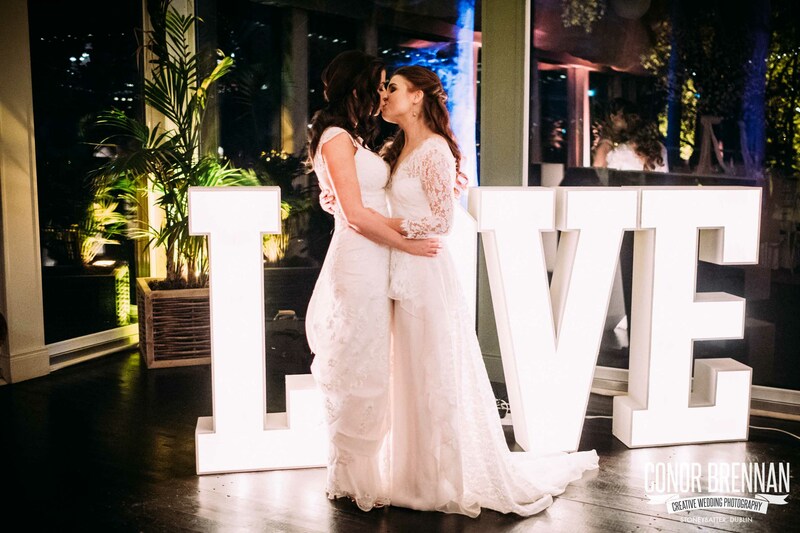 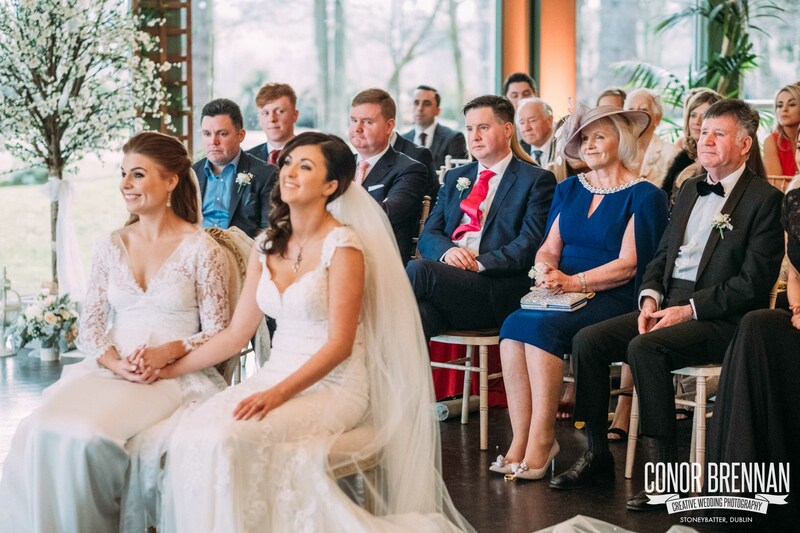 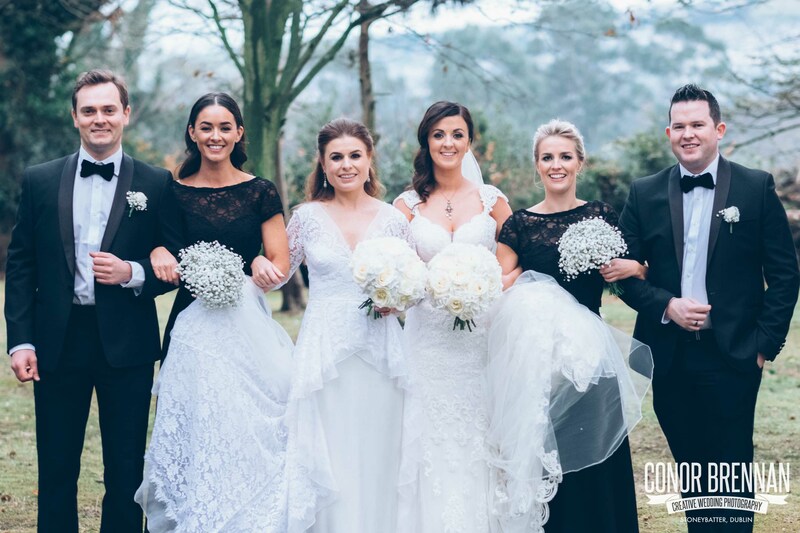 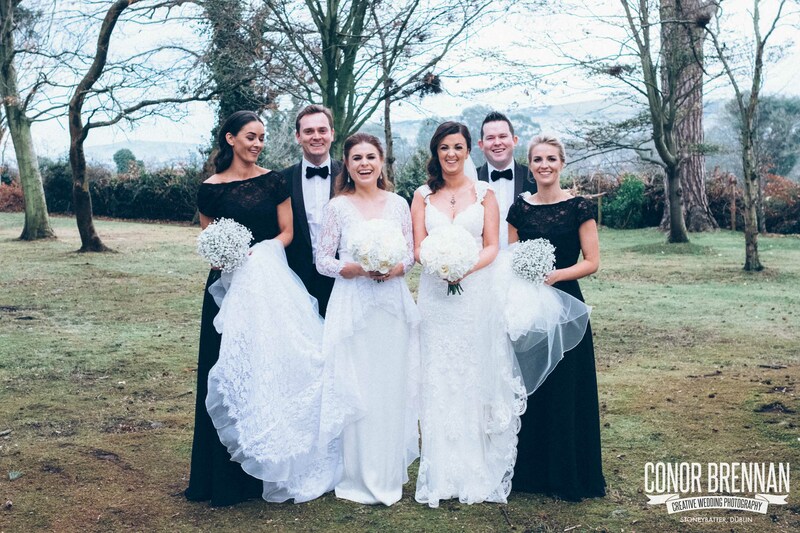 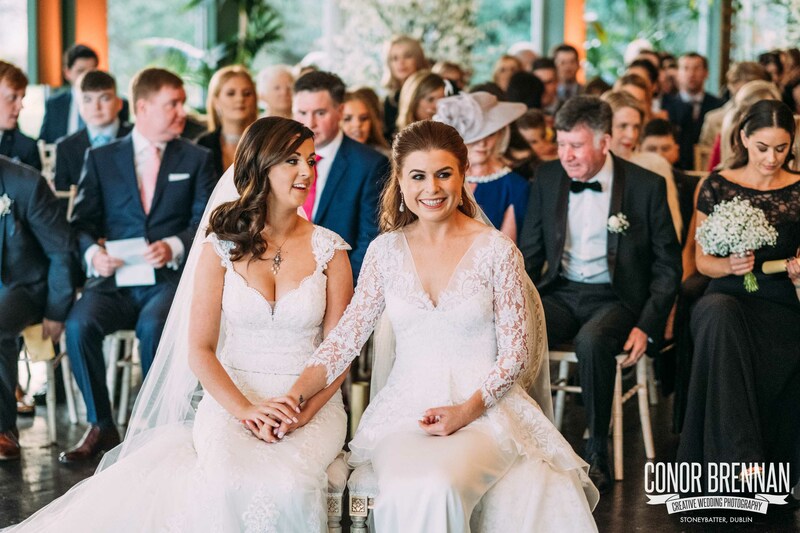 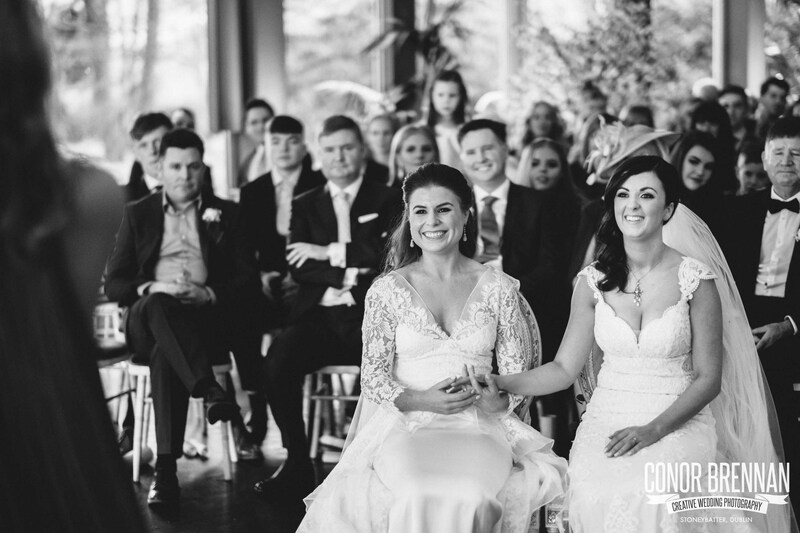 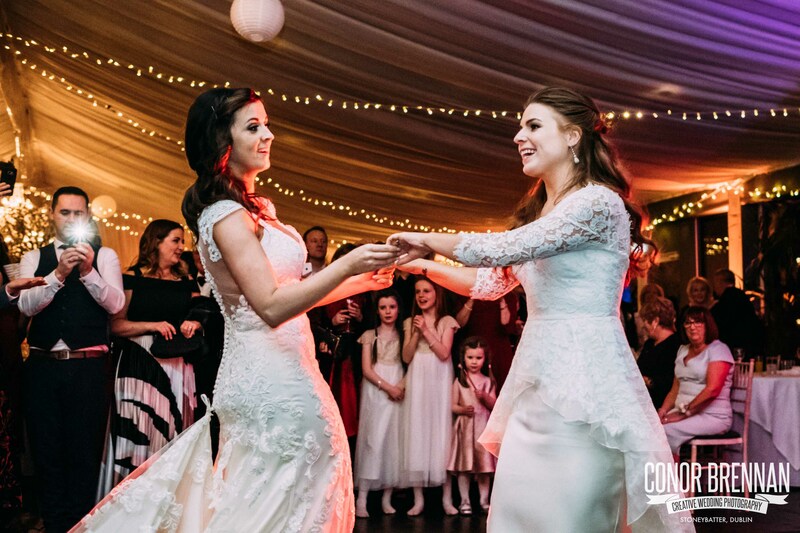 These ladies knew that they wanted a Winter Wedding and fell in love with the old worldliness of Tinakilly (www.tinakilly.ie) to host it. 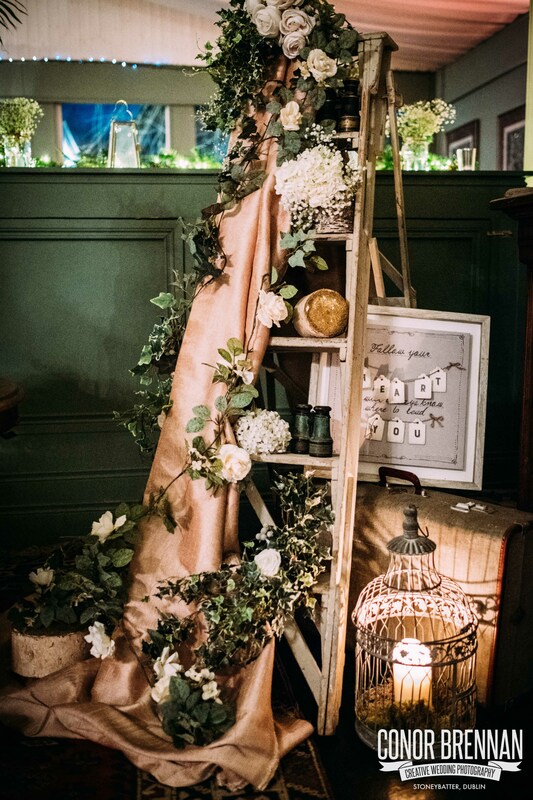 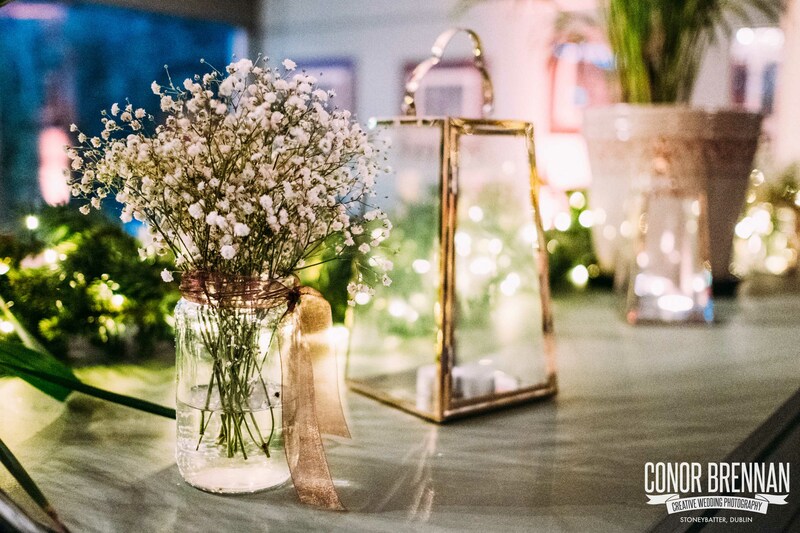 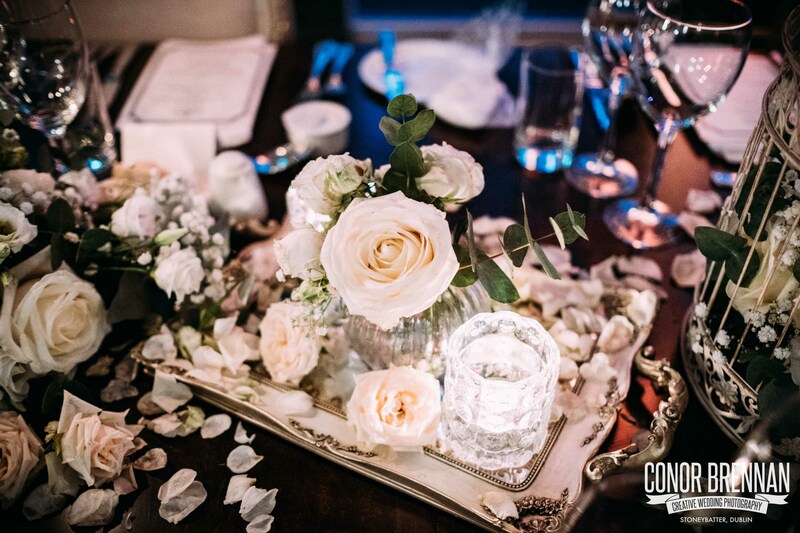 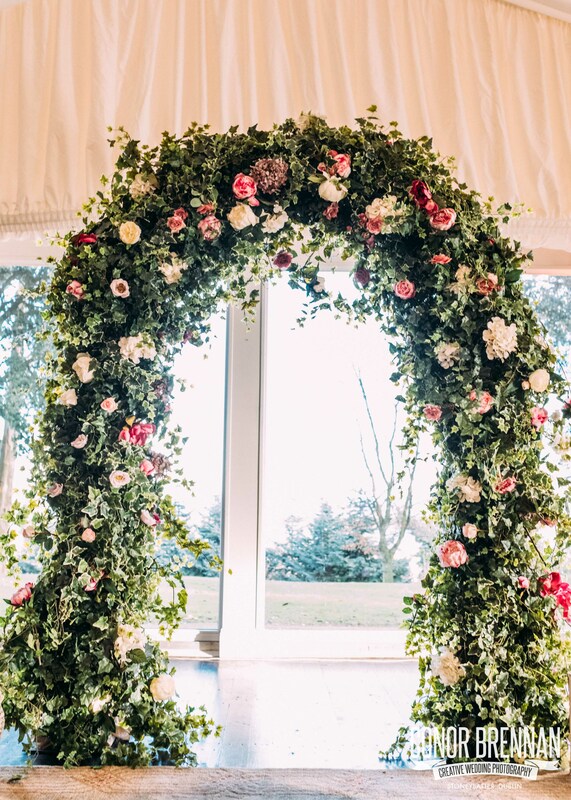 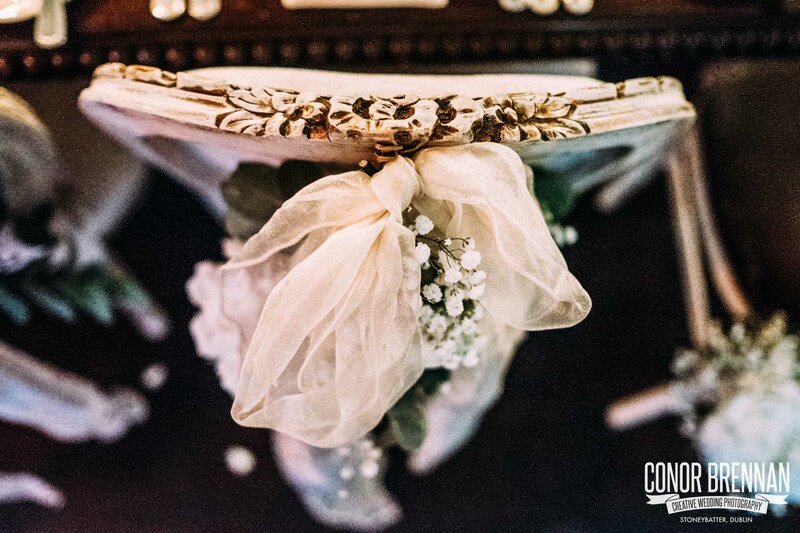 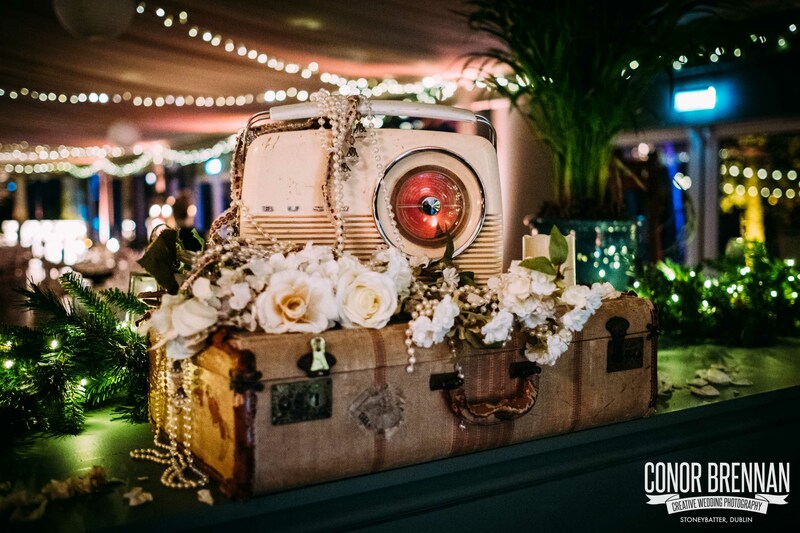 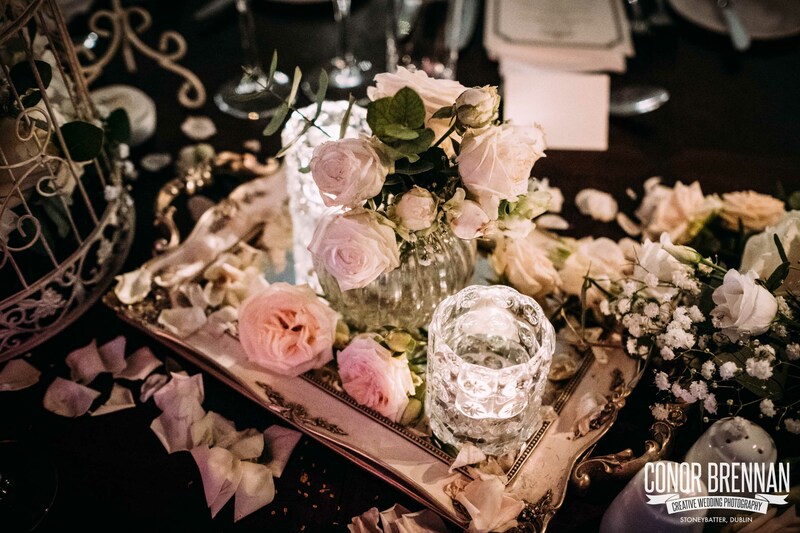 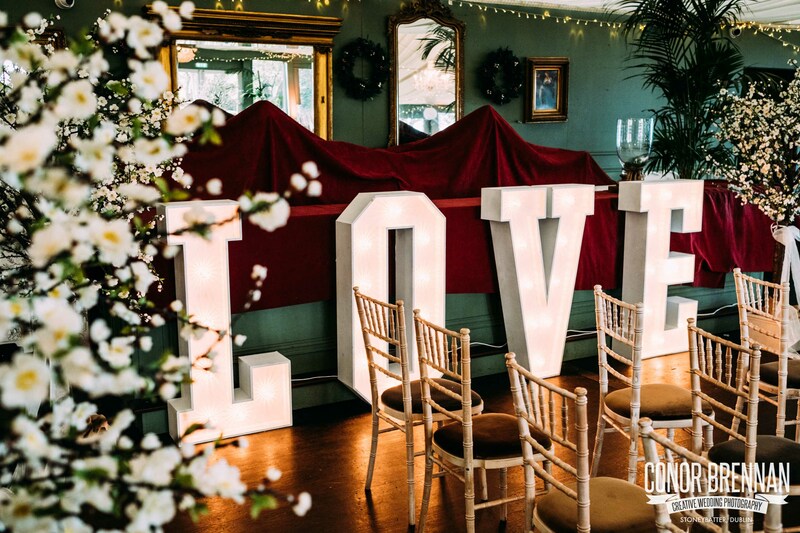 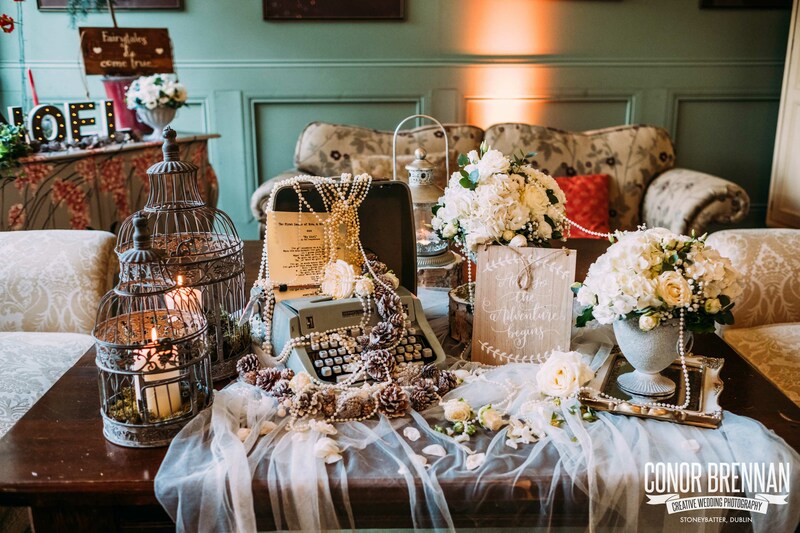 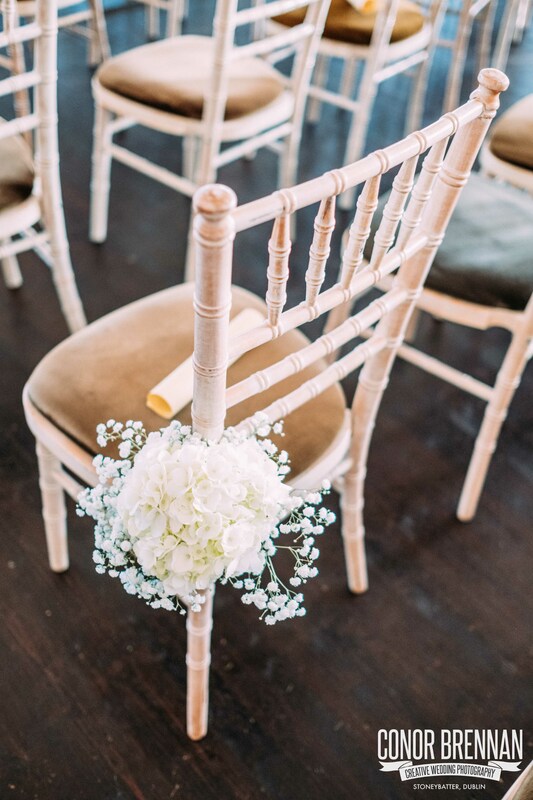 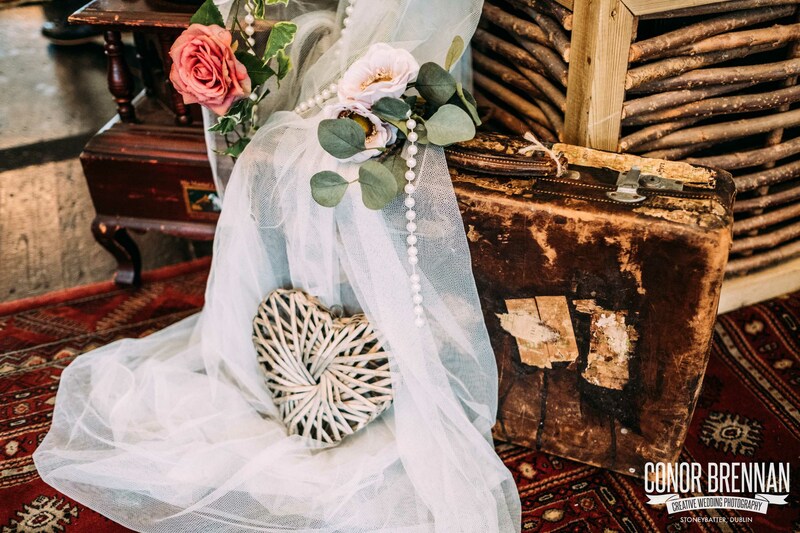 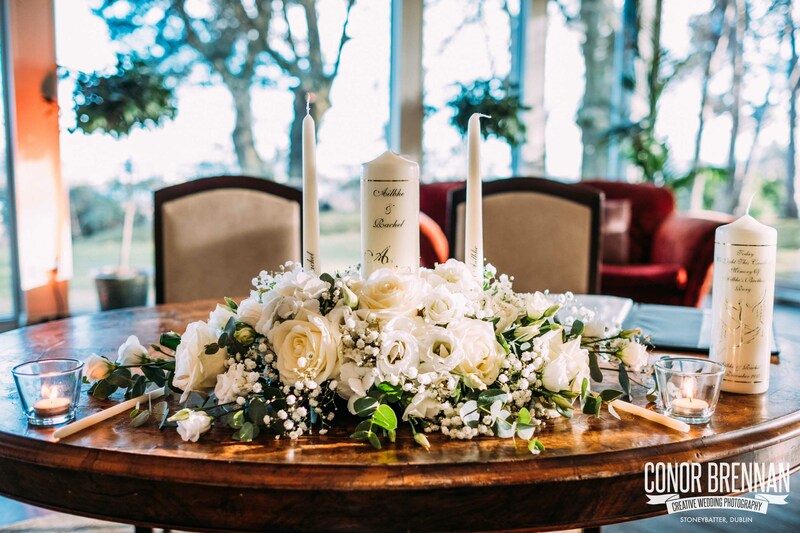 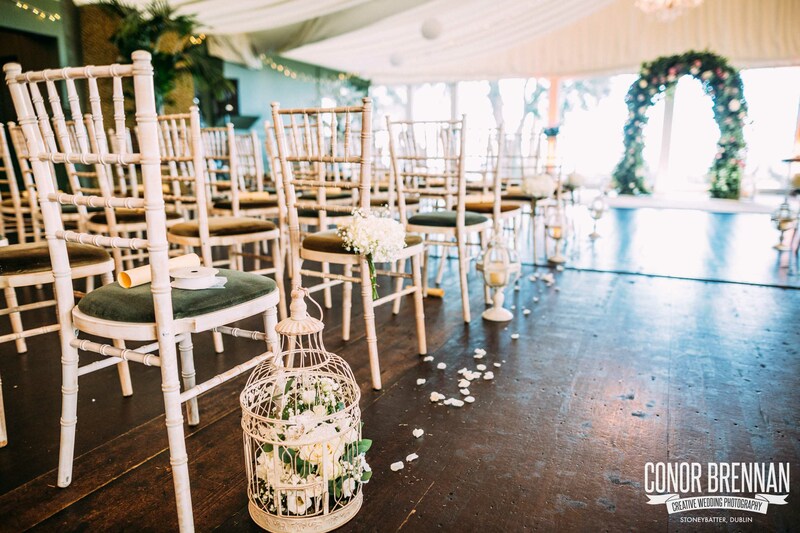 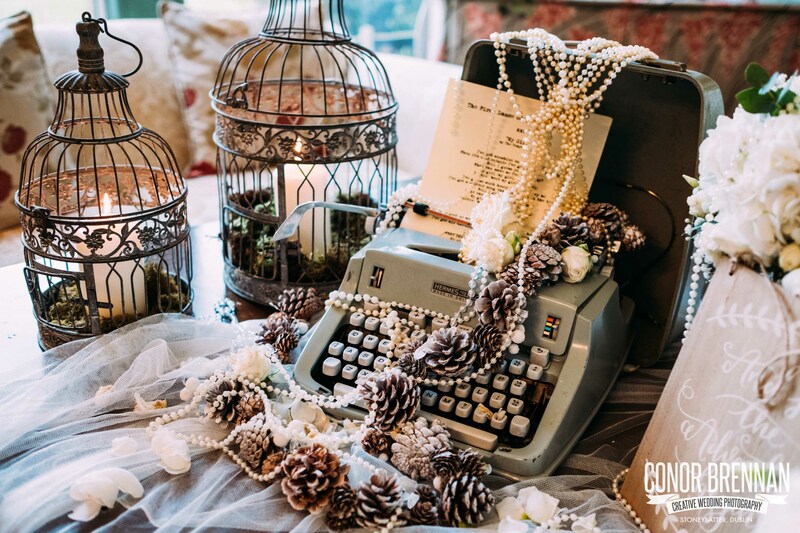 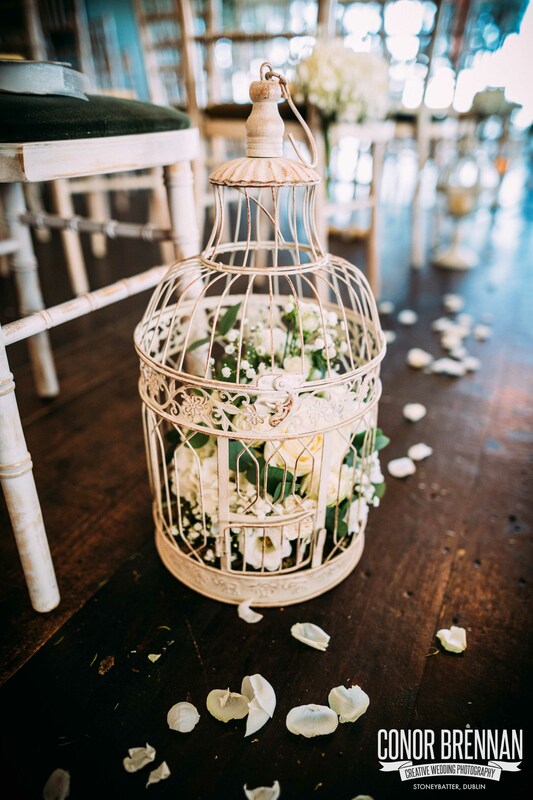 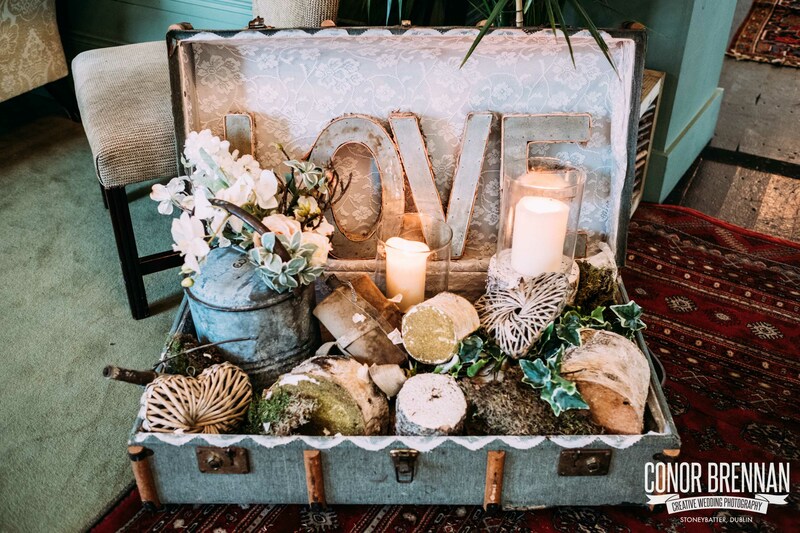 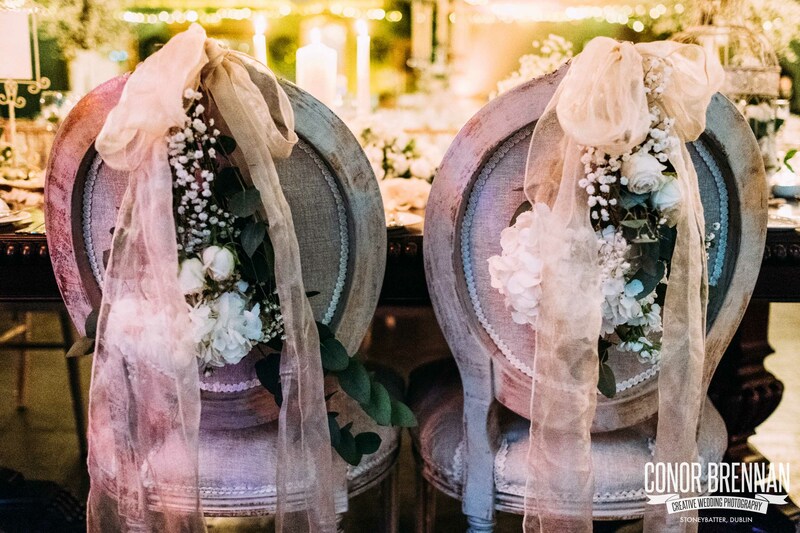 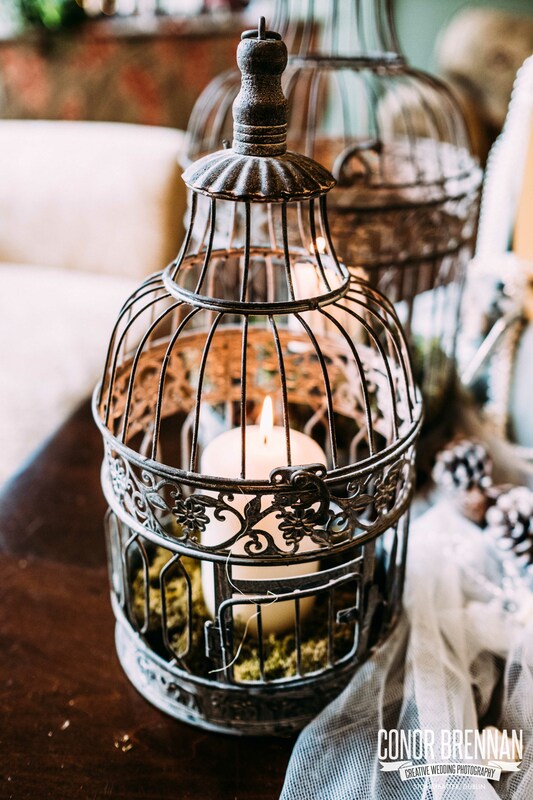 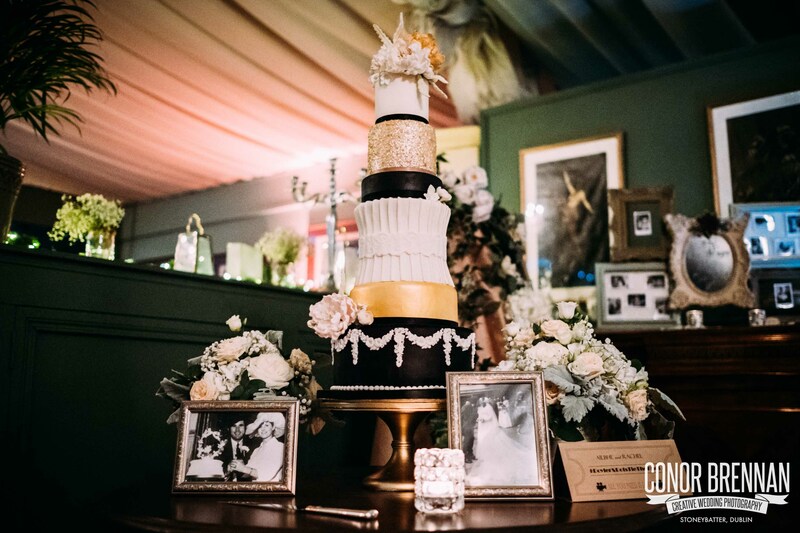 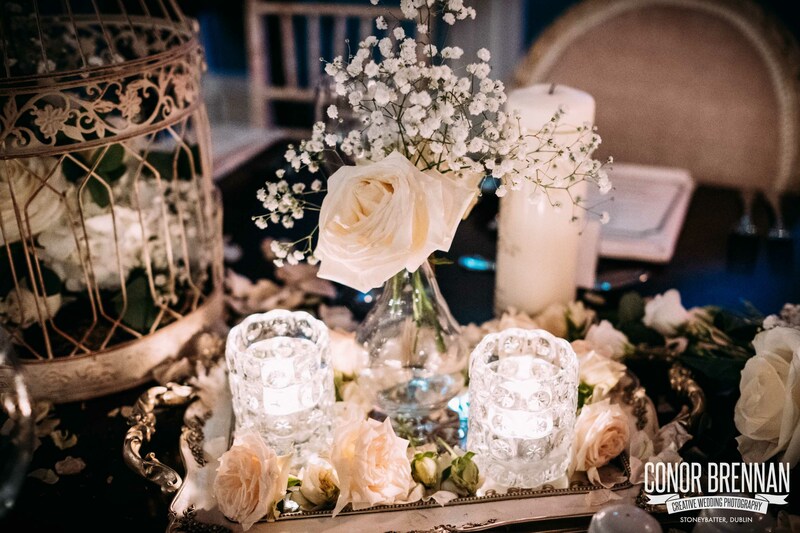 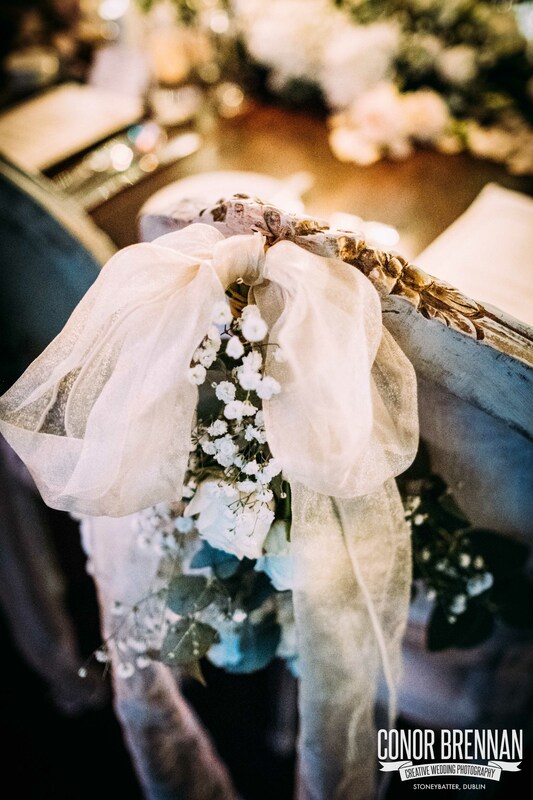 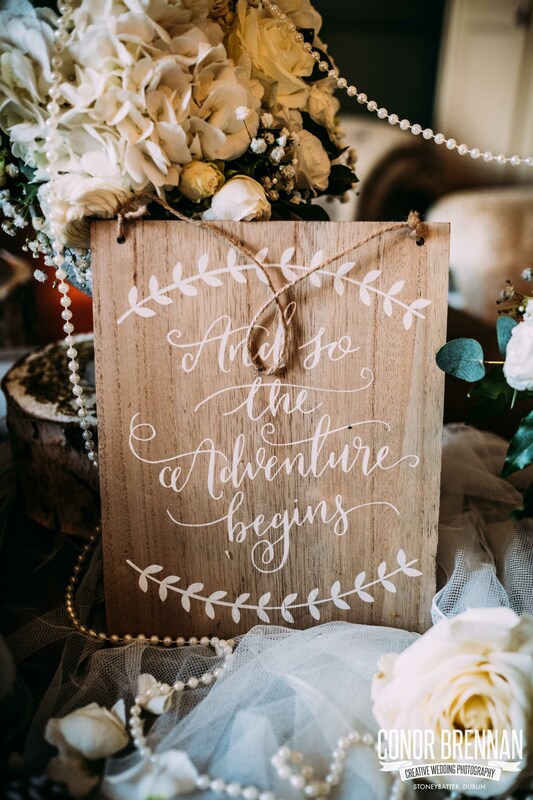 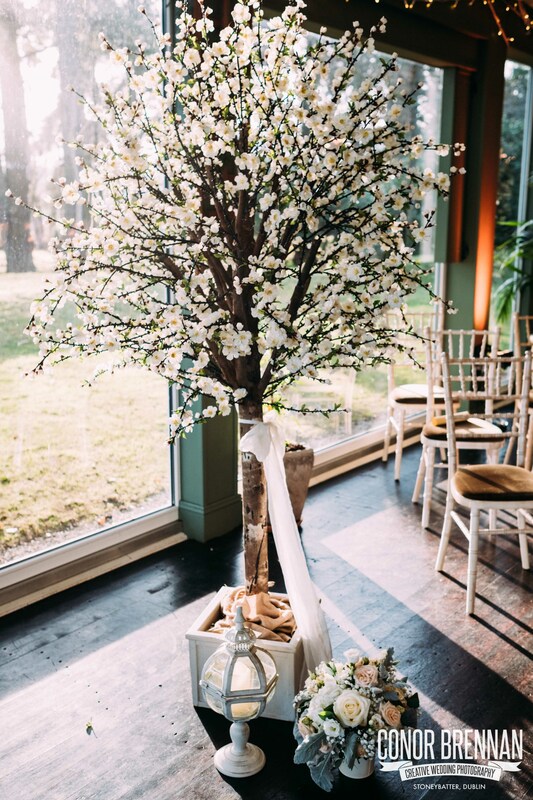 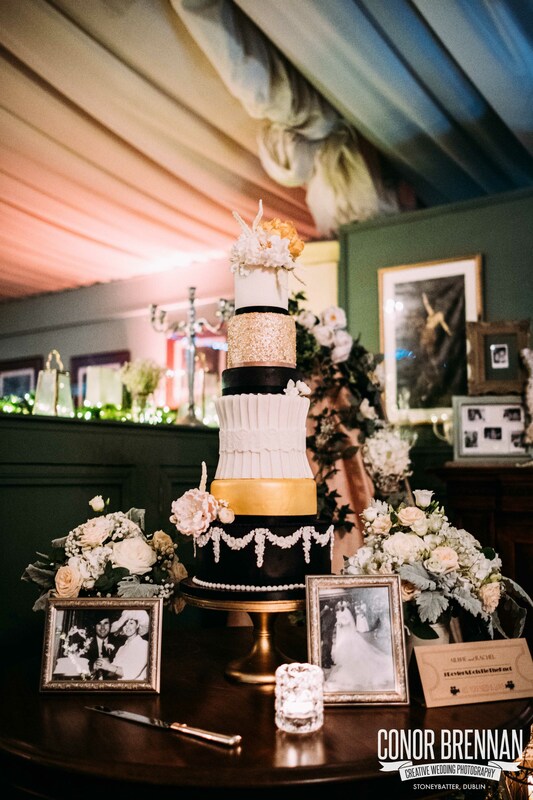 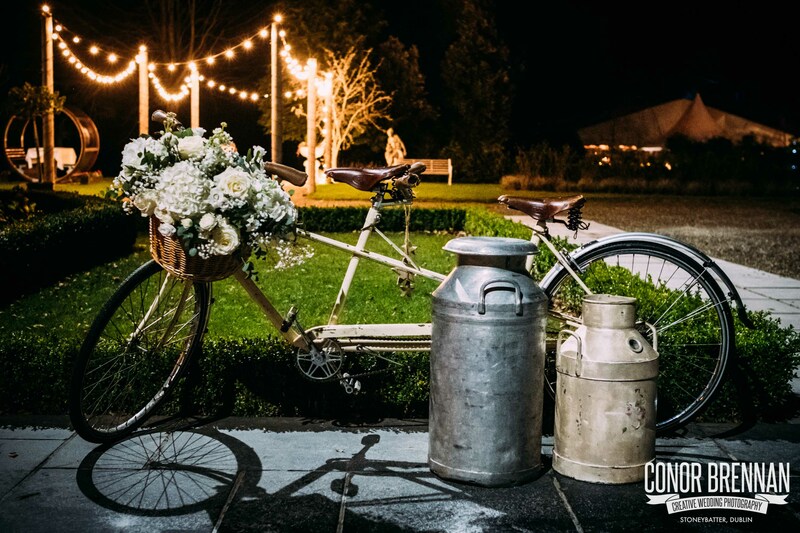 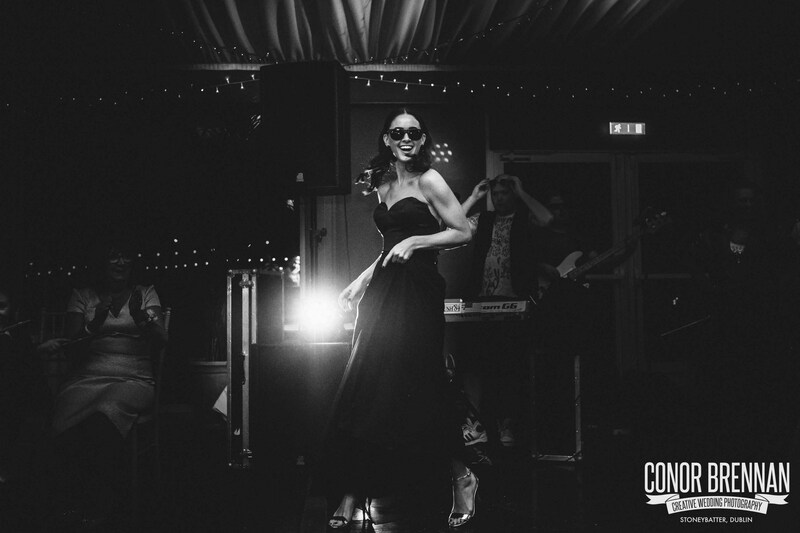 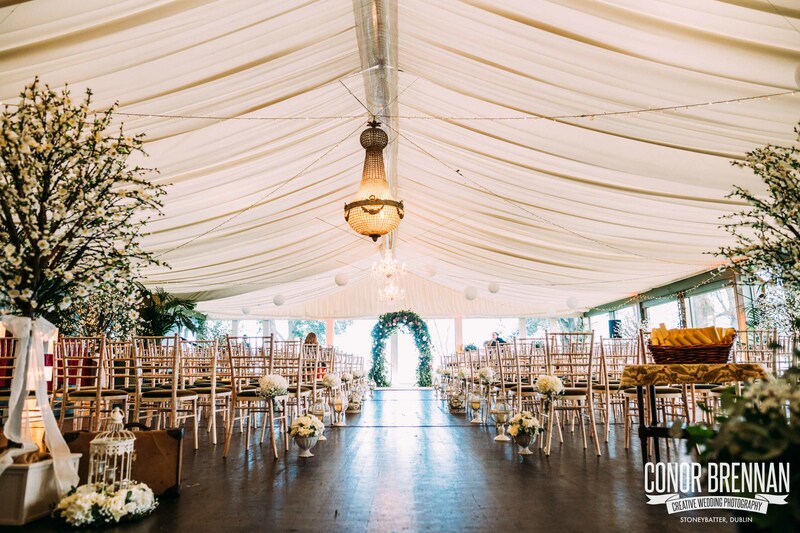 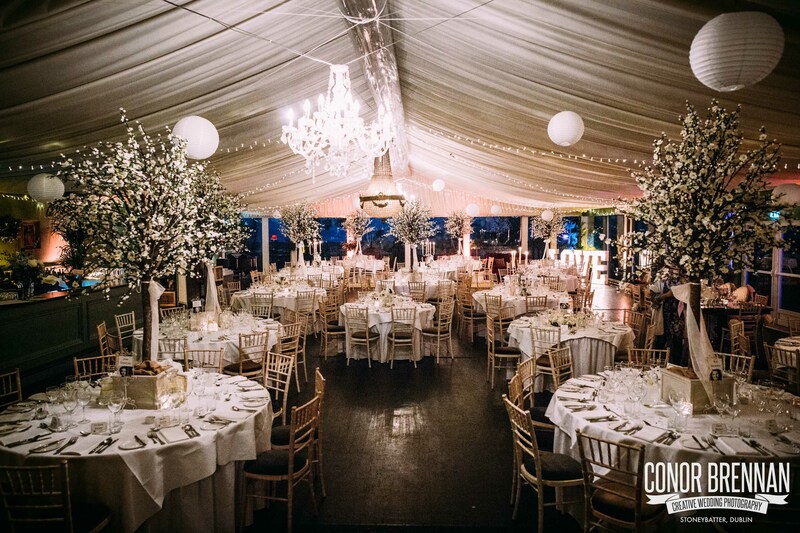 Vintage Affair (www.vintageaffair.ie) did the outrageously slick styling, flowers and gorgeous decorative touches around the reception & venue. 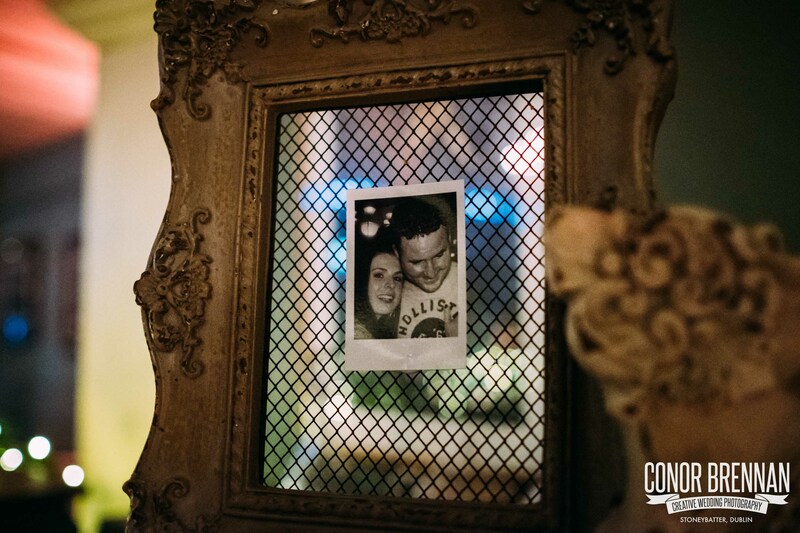 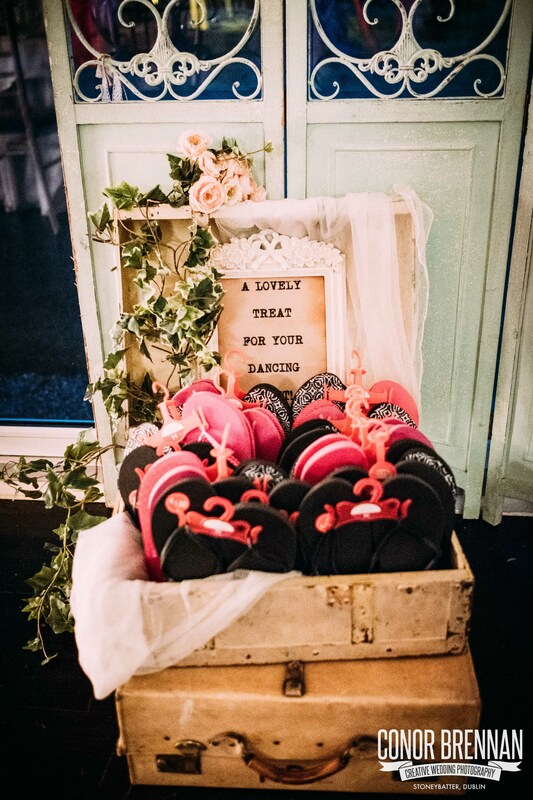 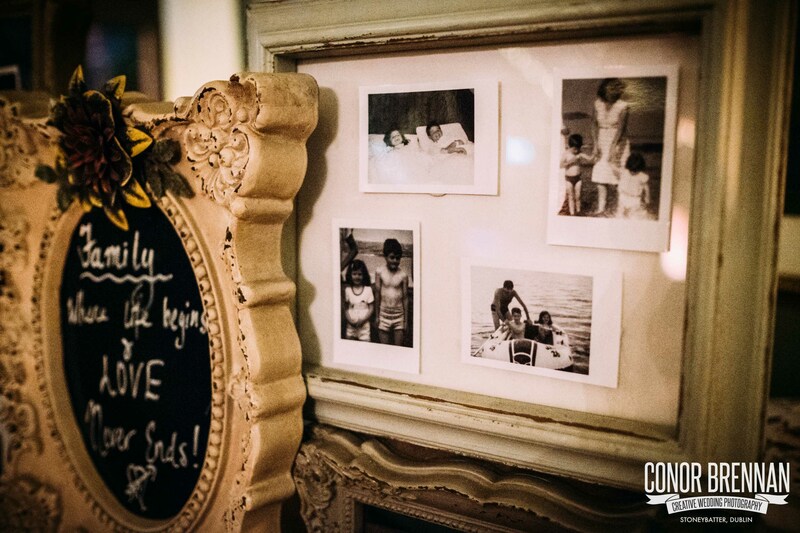 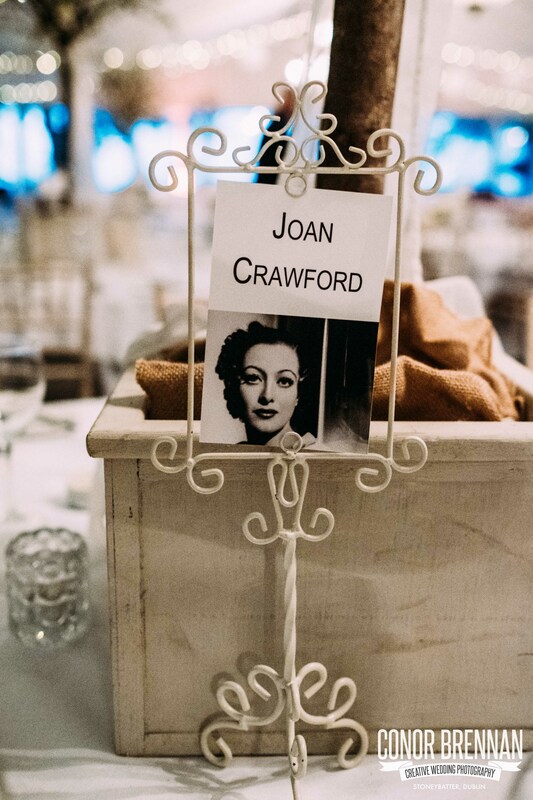 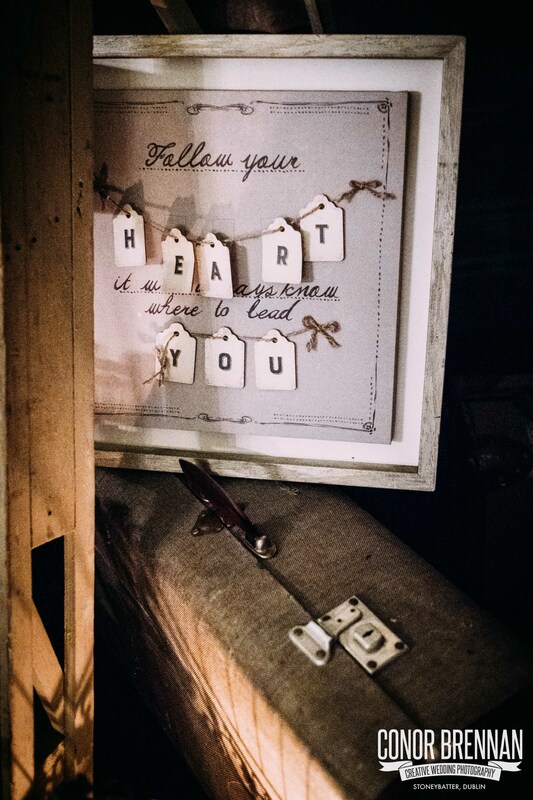 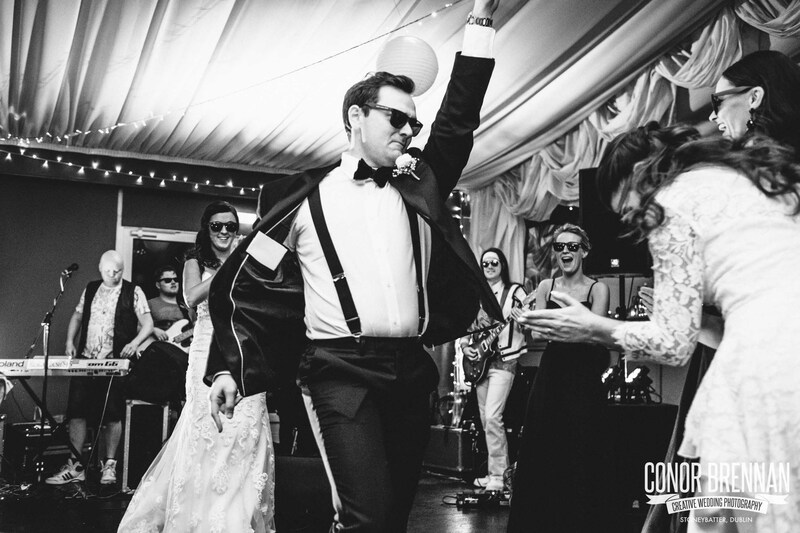 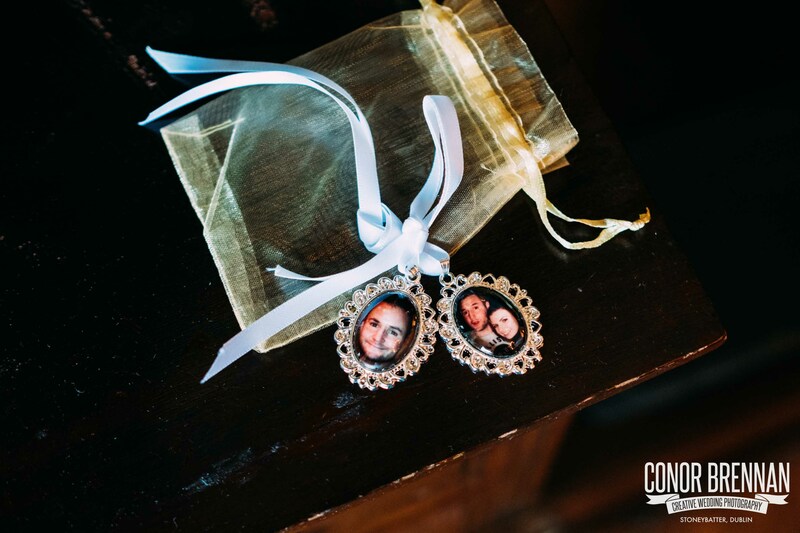 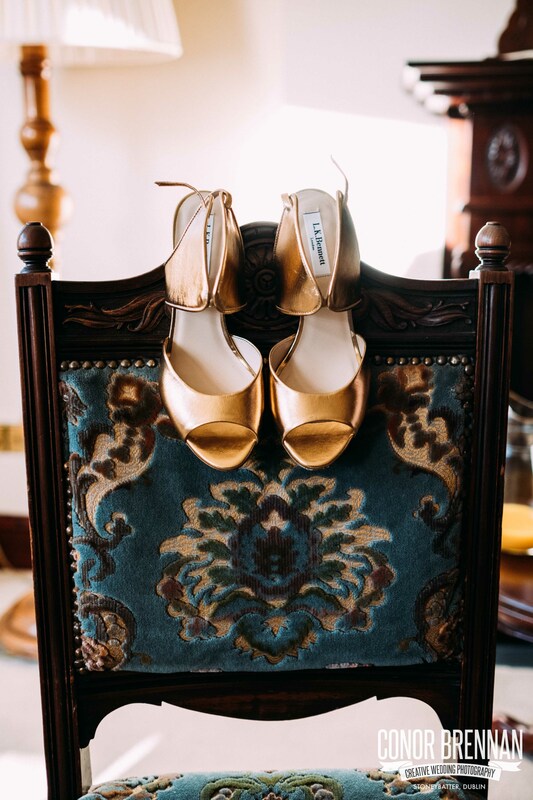 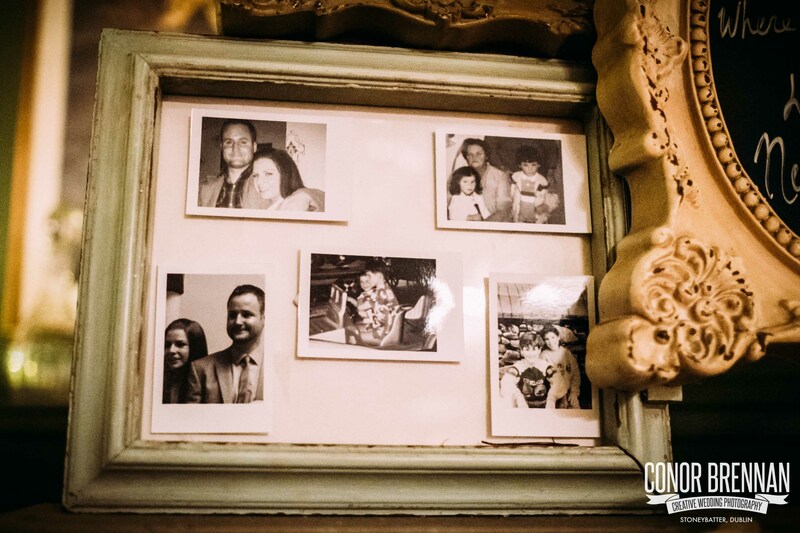 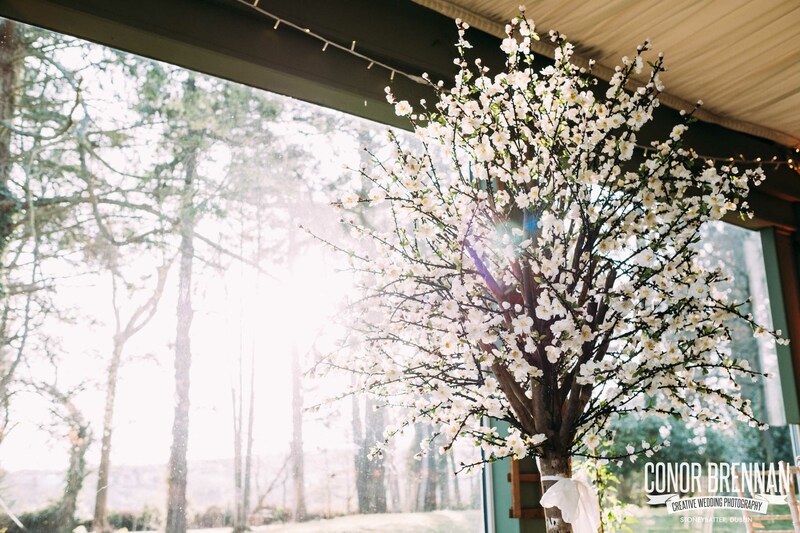 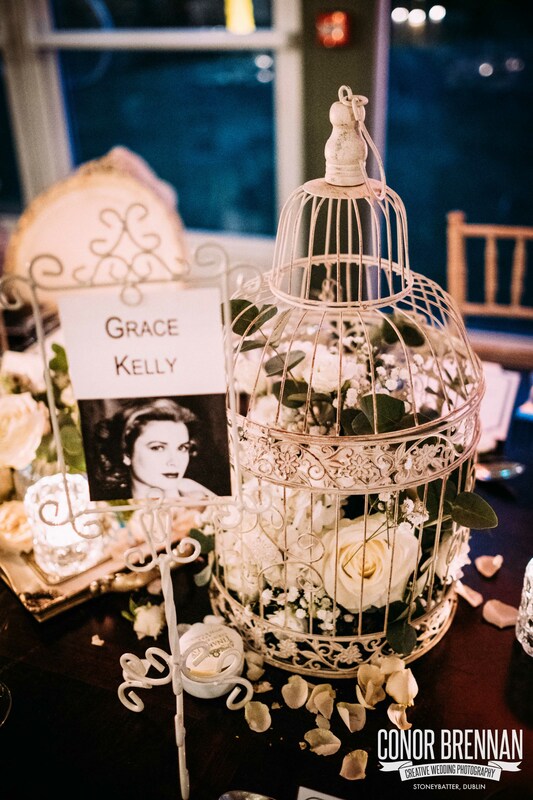 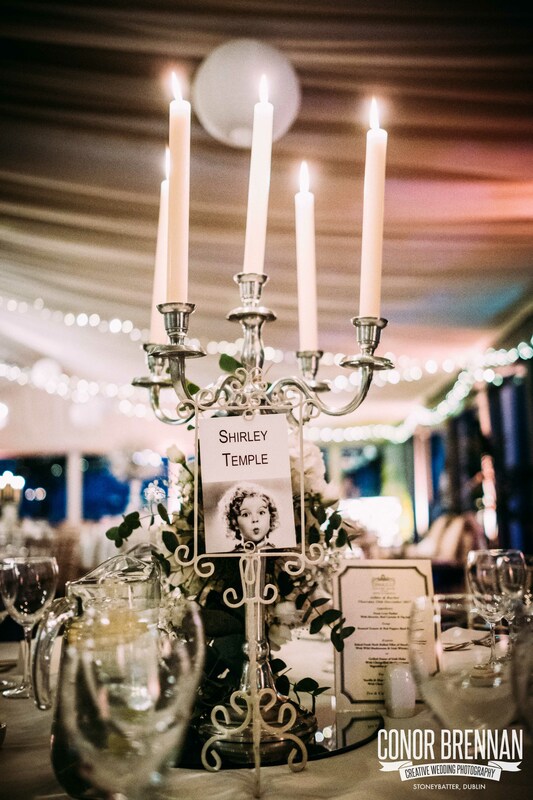 Since they love old movies, the newlyweds came up with the coolest idea for their table plan. 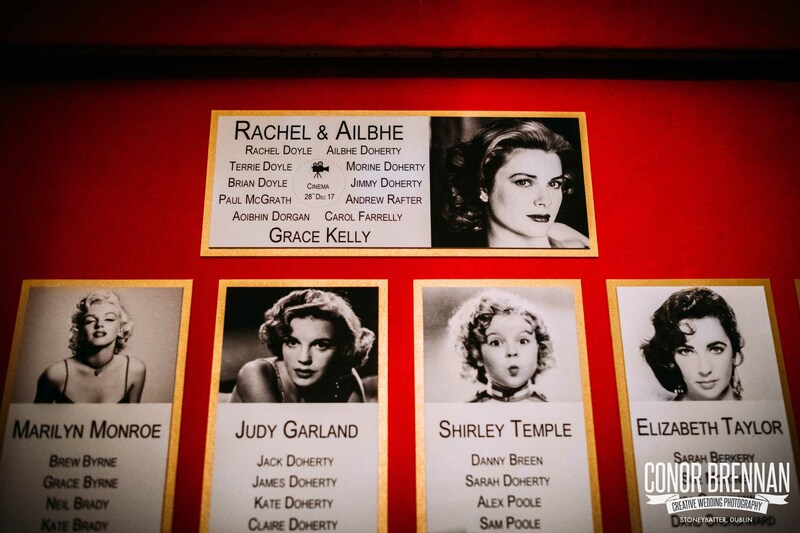 Celebrating true girl power, they had Hollywood actresses from the 40’s,50’s & 60’s as each table name. 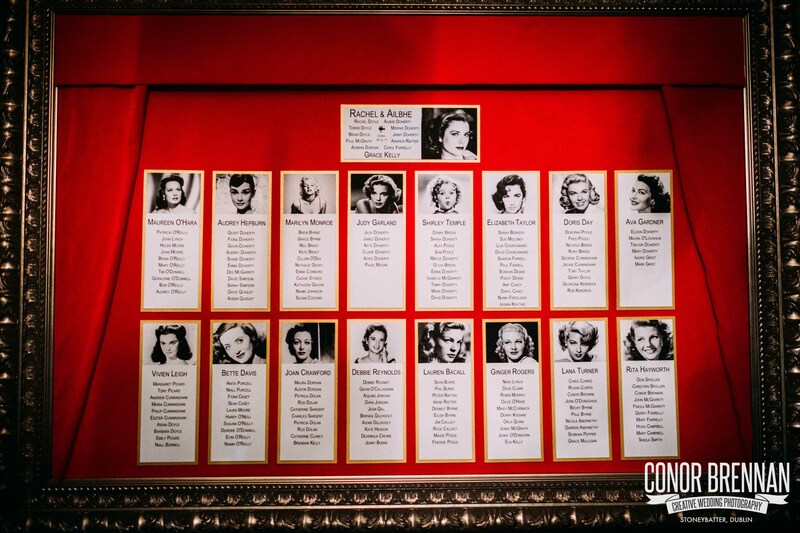 These included Audrey Hepburn, Marilyn Monroe, Judy Garland and the top table was Grace Kelly. 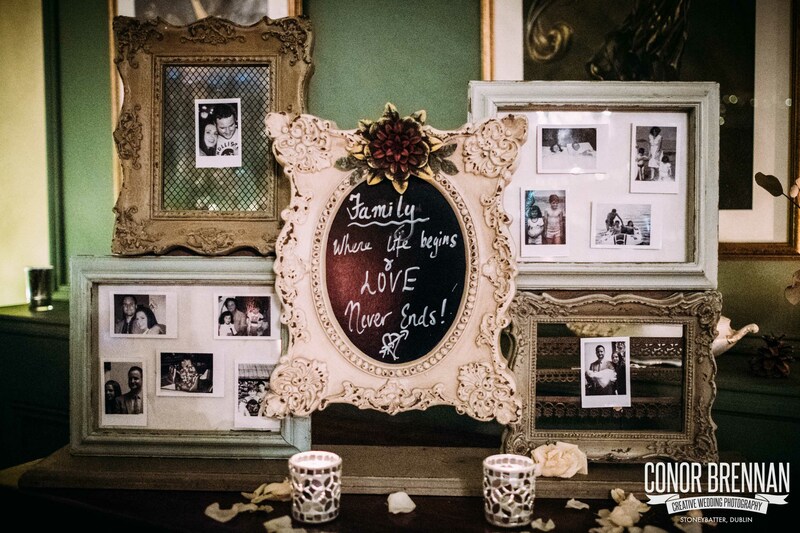 Such a brilliant, creative idea and it looked amazing. 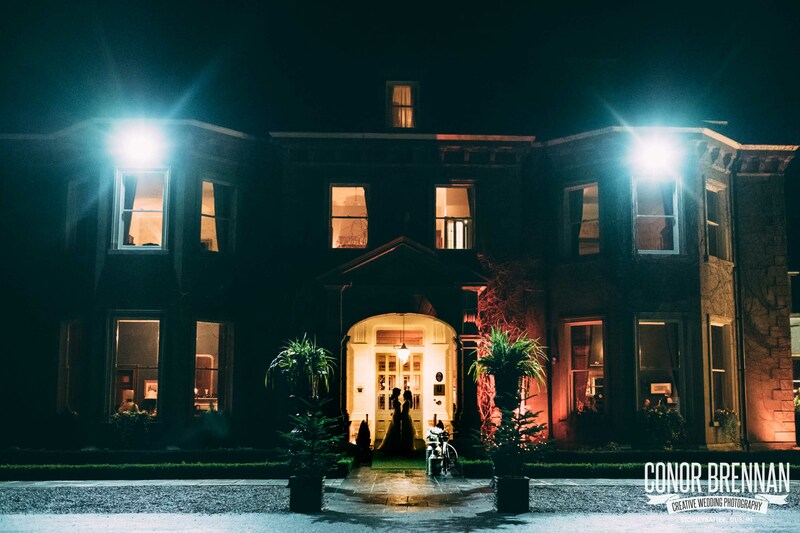 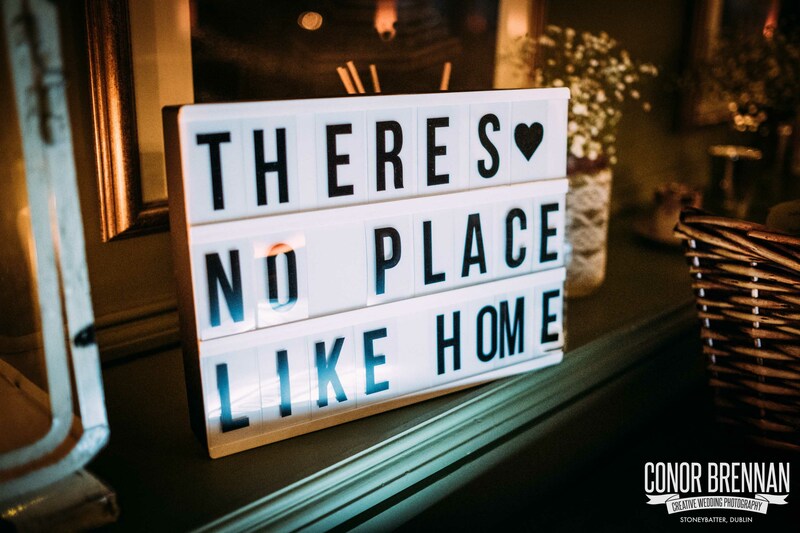 This was my first time capturing a Tinakilly Country House Wedding and I have to say I absolutely loved this stunning Victorian Style house and venue. 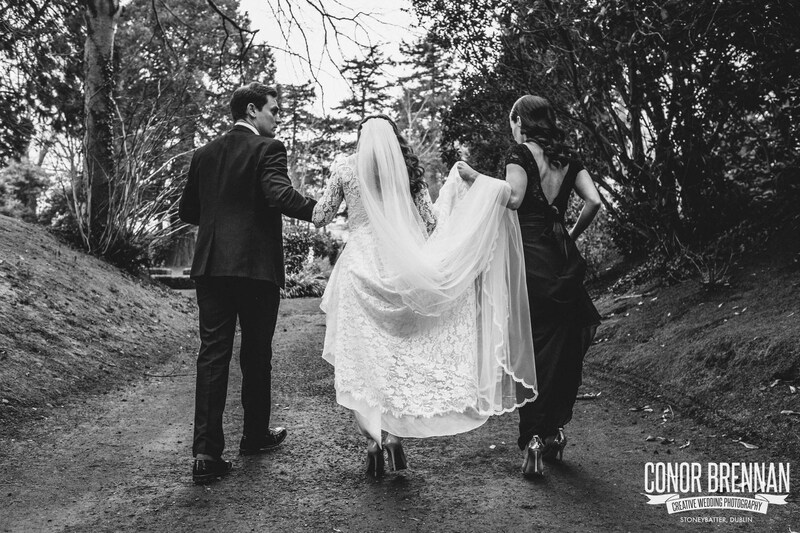 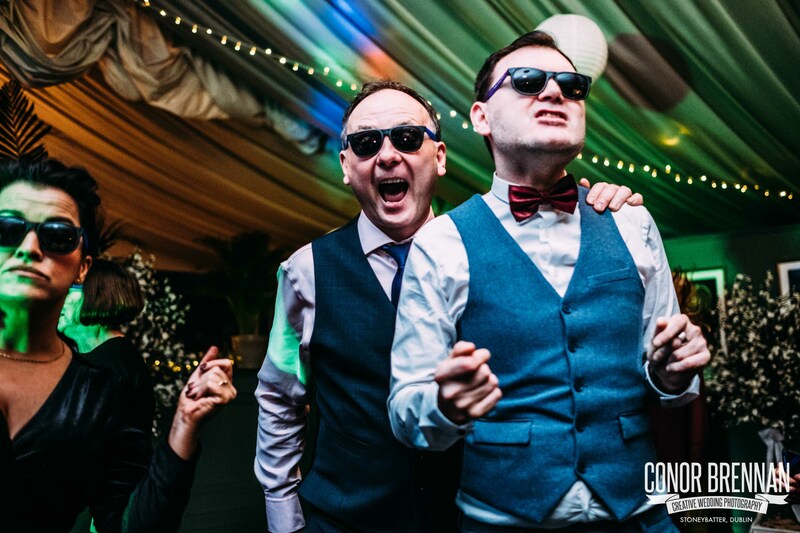 To see more of my weddings, go to www.fotograph.ie/featured-weddings.